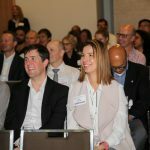 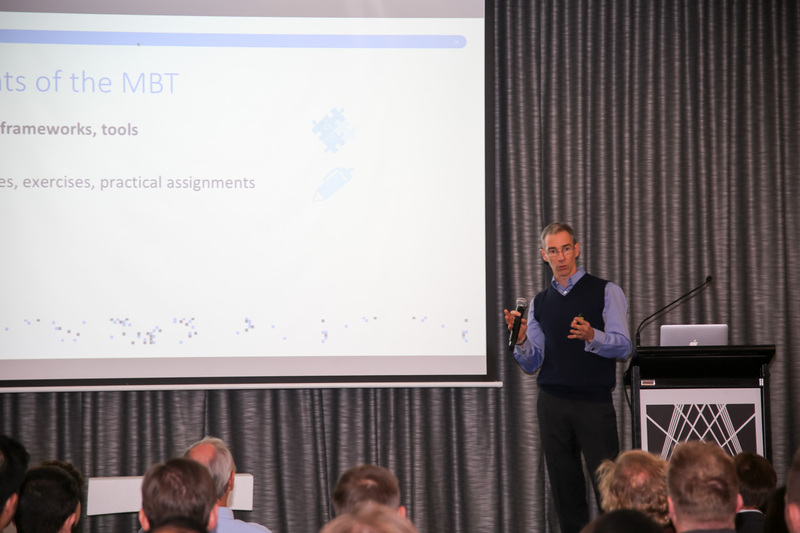 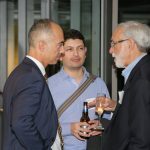 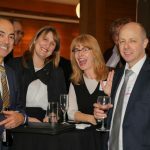 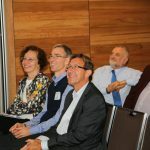 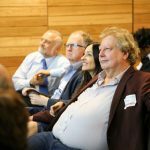 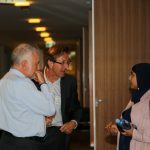 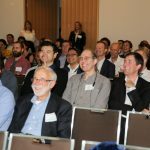 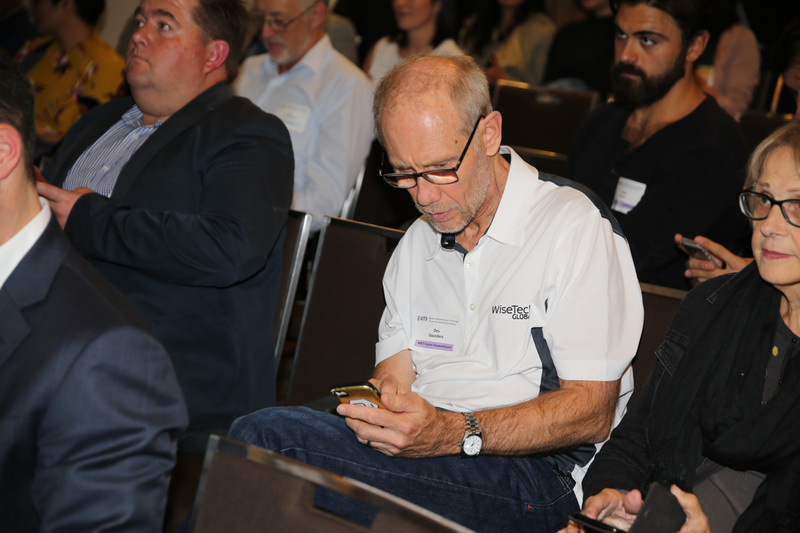 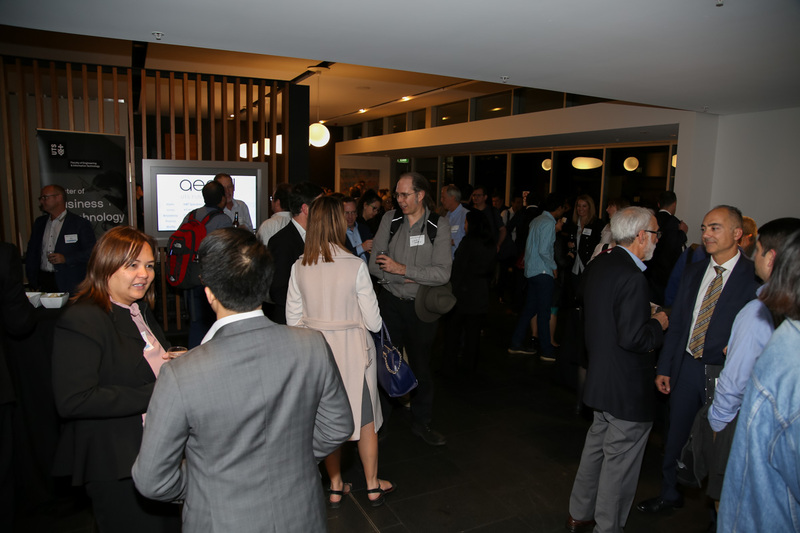 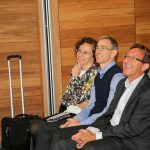 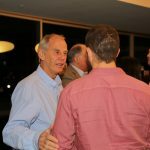 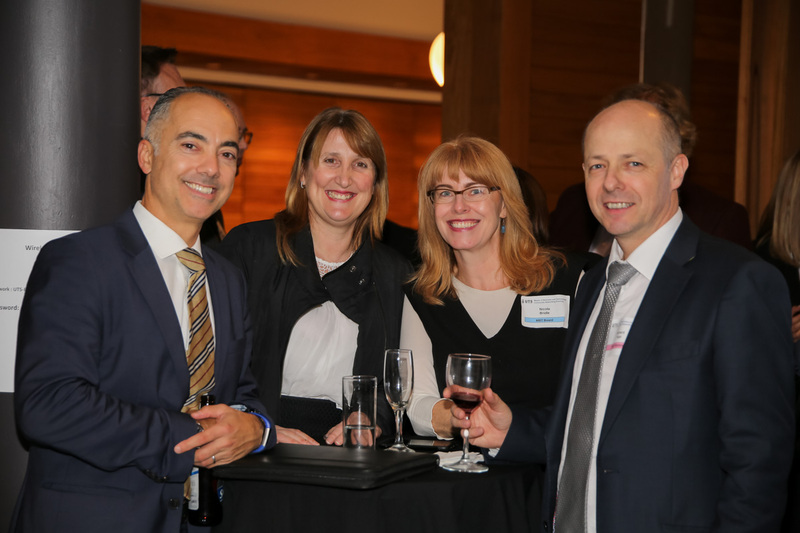 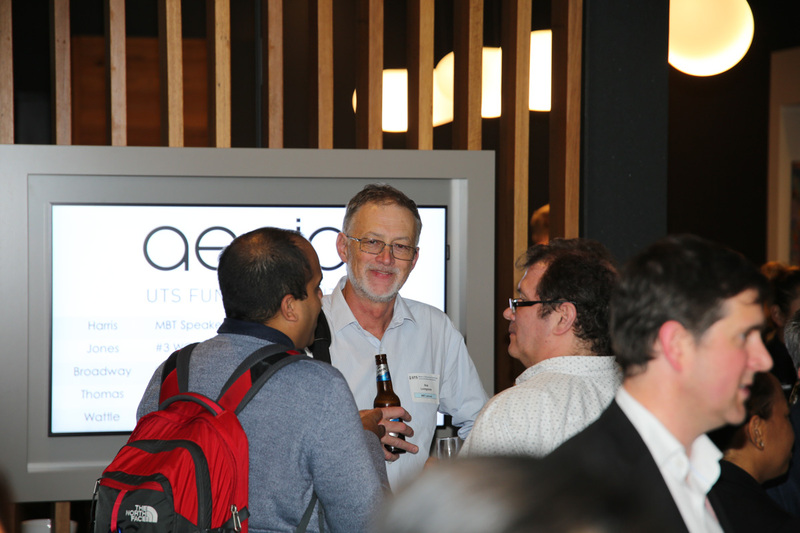 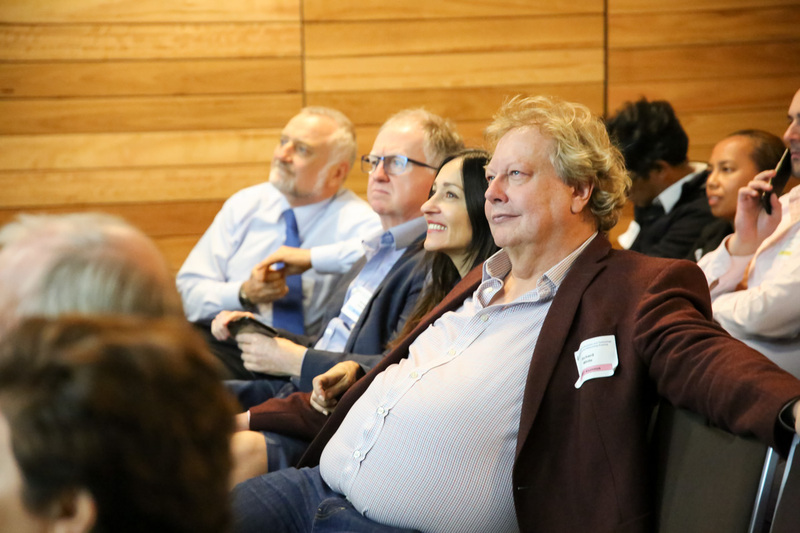 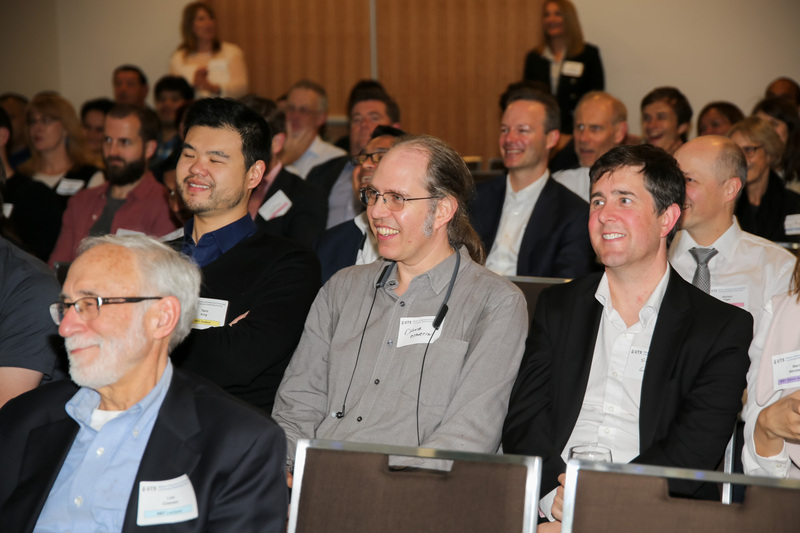 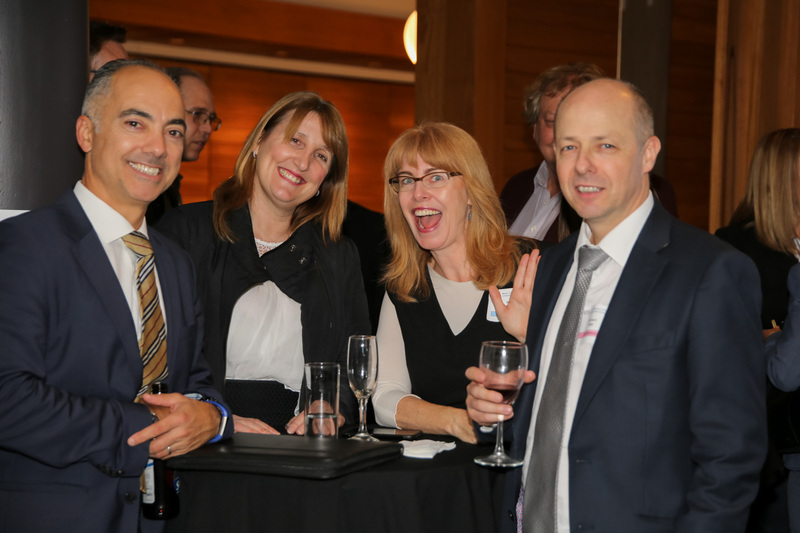 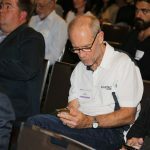 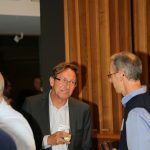 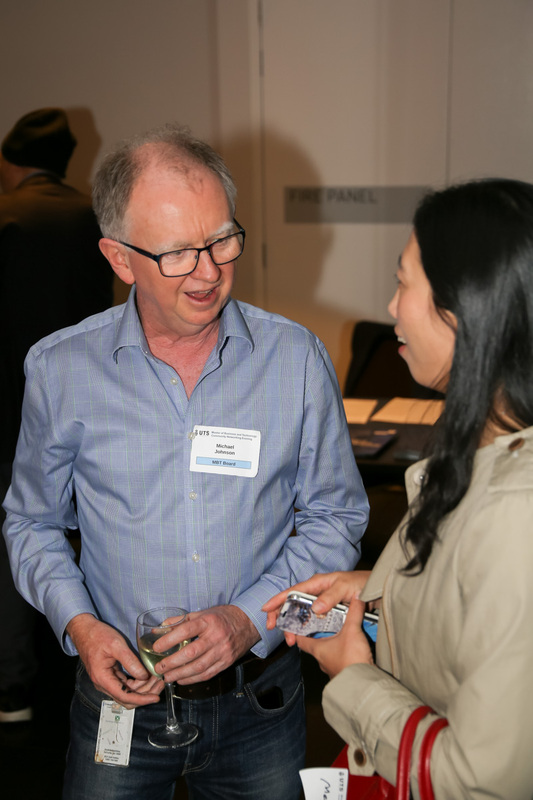 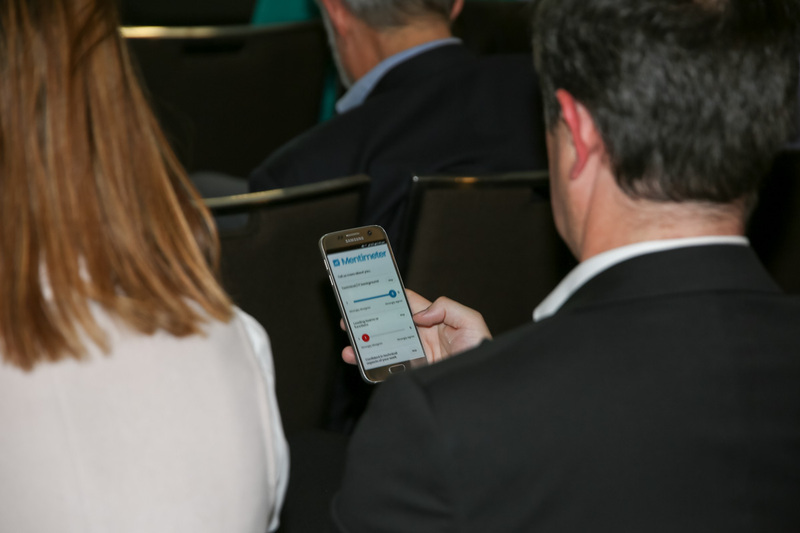 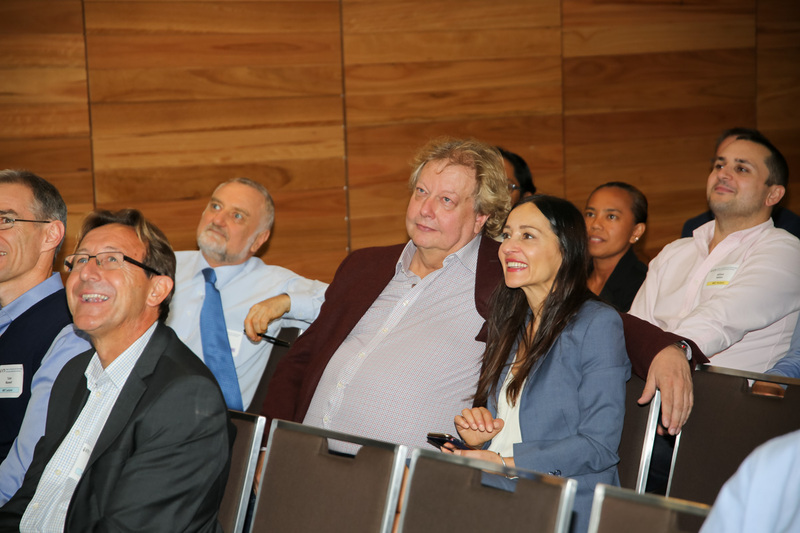 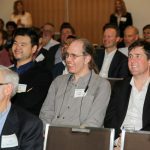 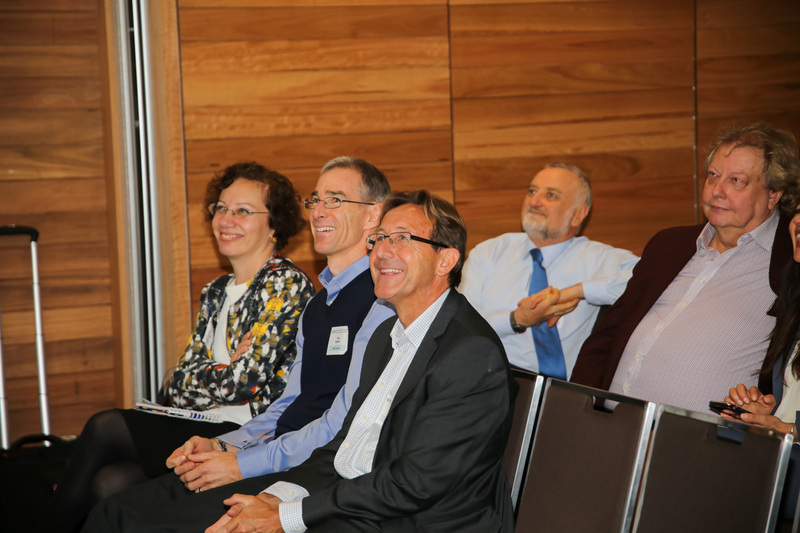 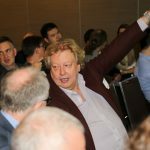 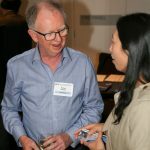 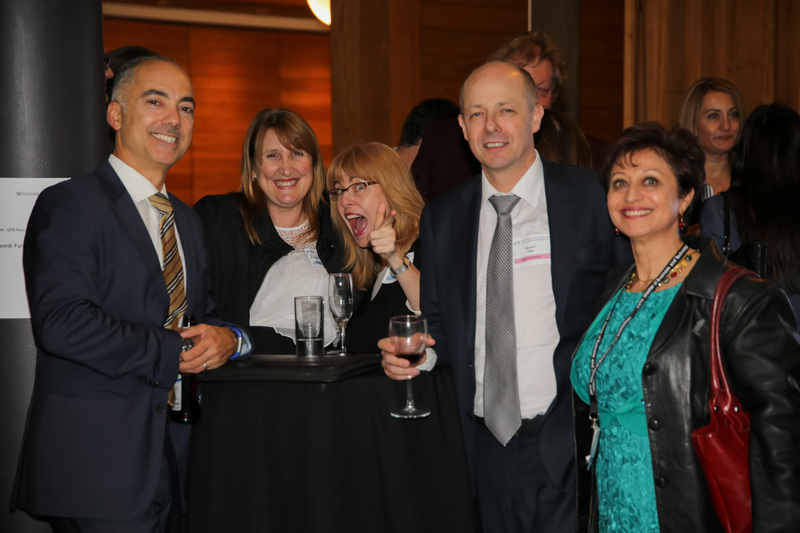 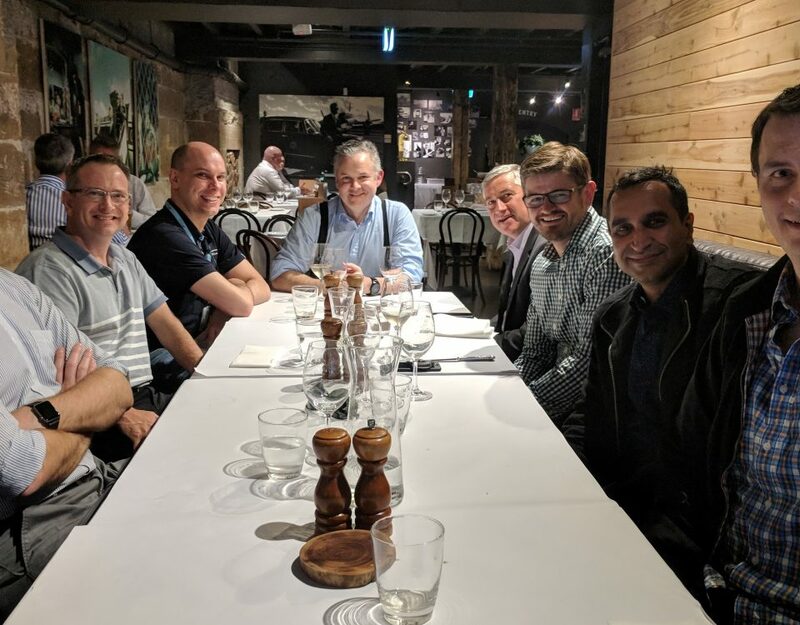 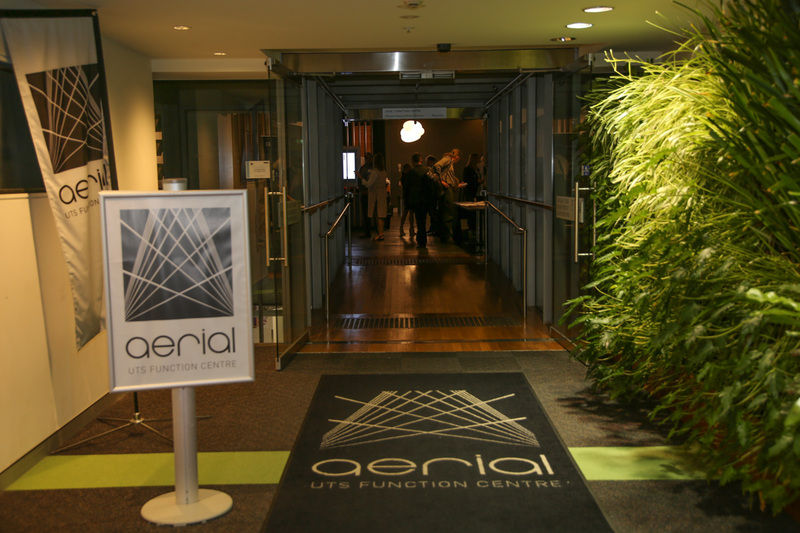 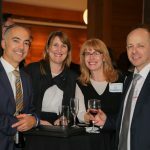 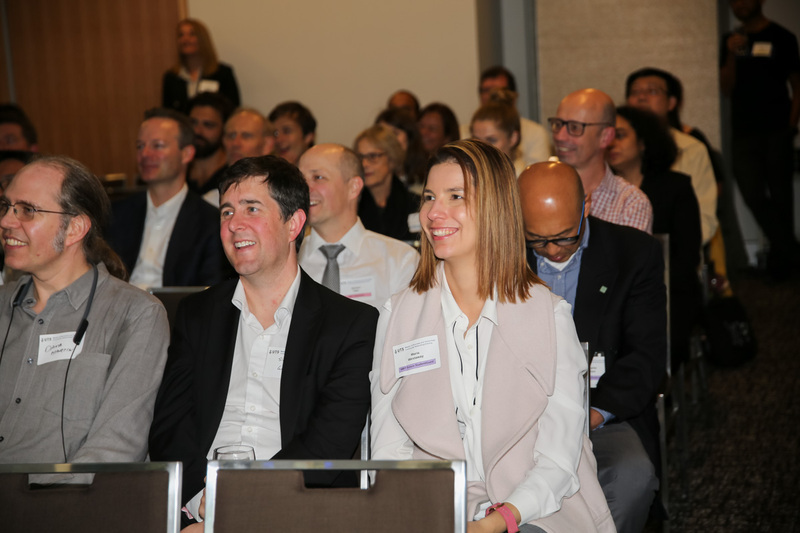 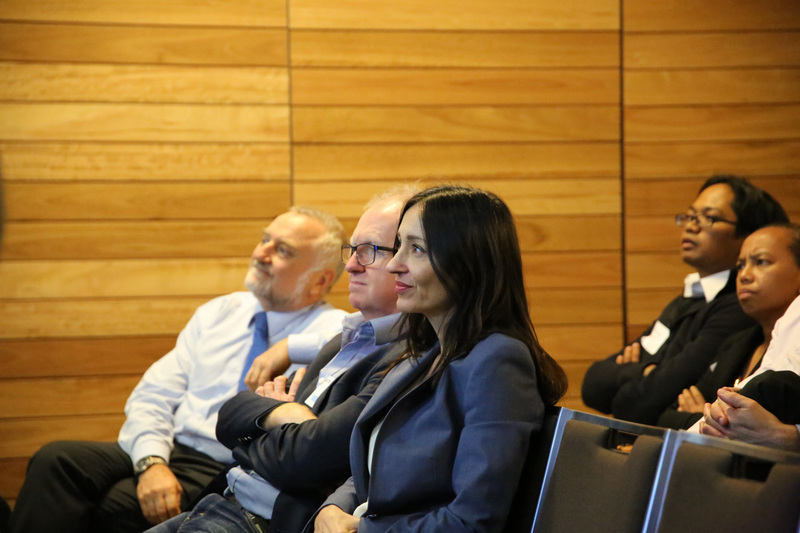 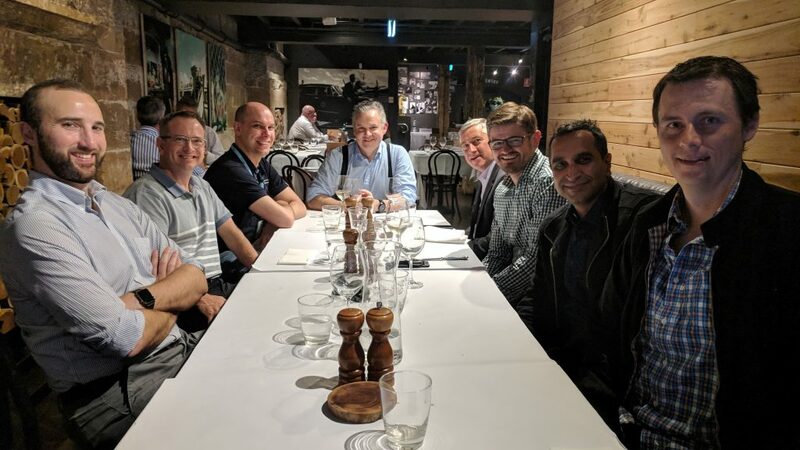 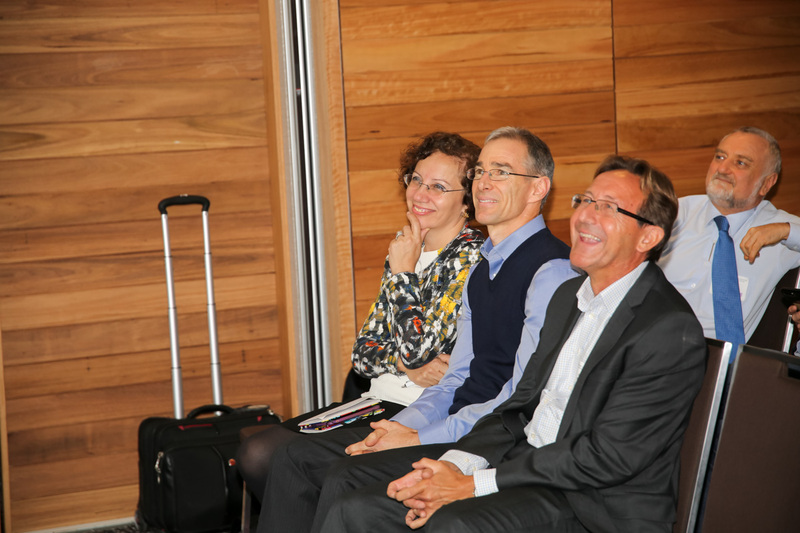 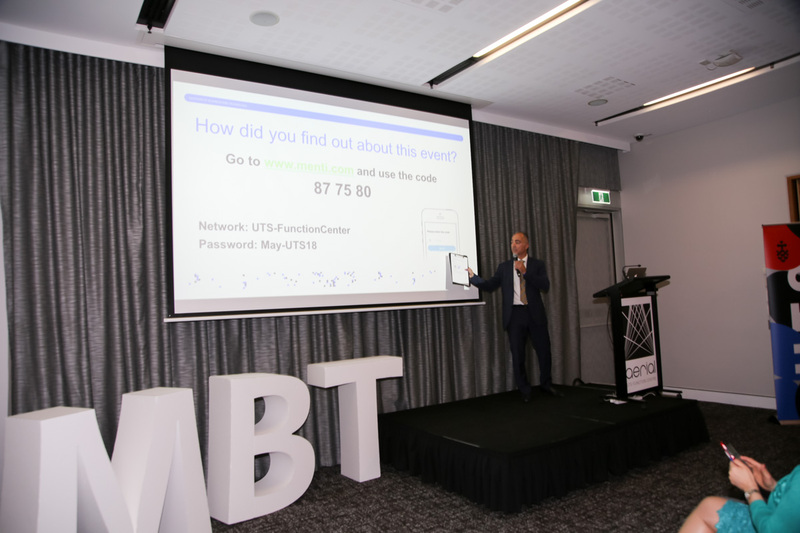 The MBT Board sponsored event on Thursday 10th May 2018, held in the UTS Aerial Conference Centre, was very successful on several counts. 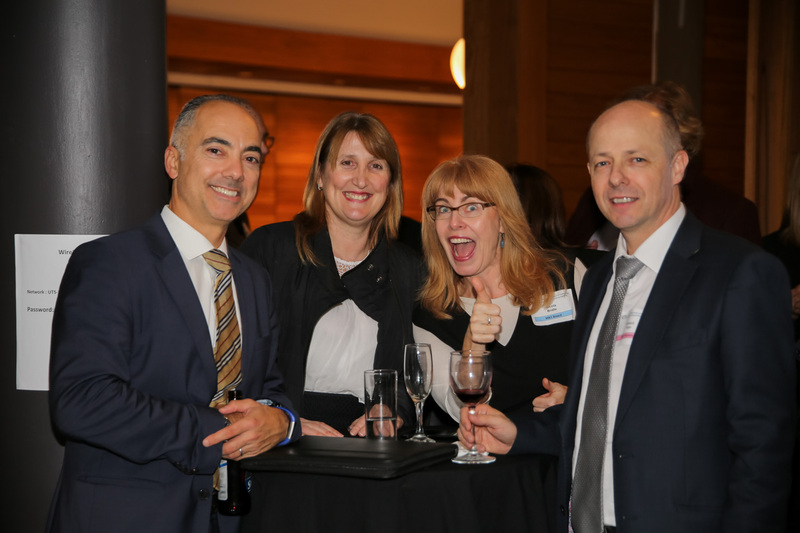 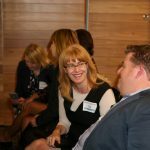 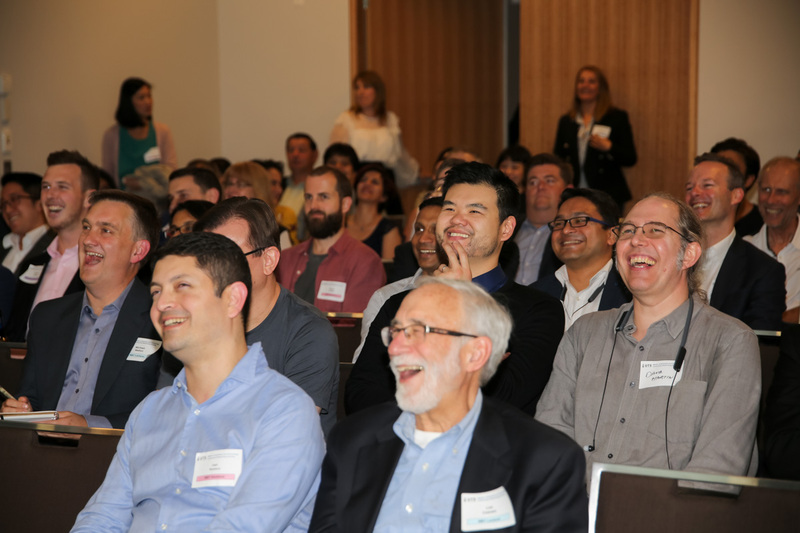 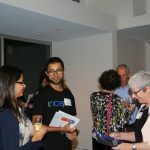 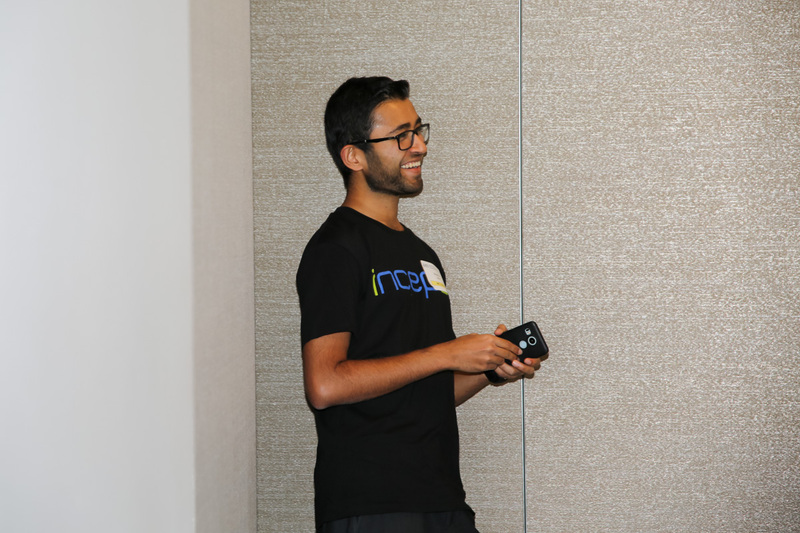 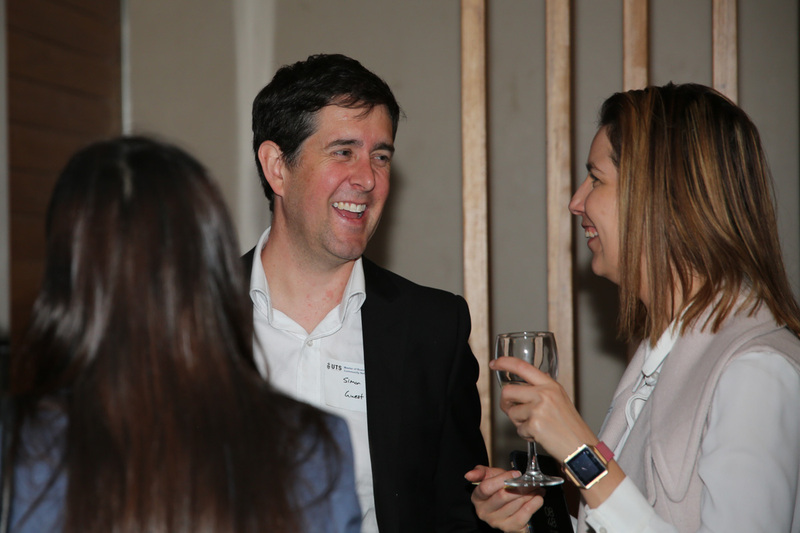 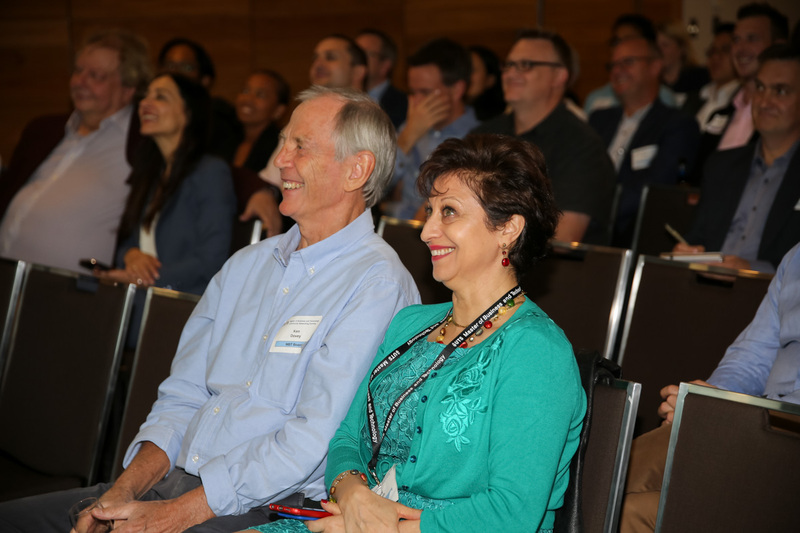 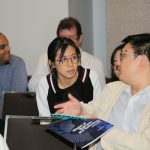 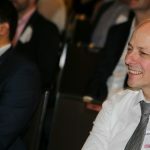 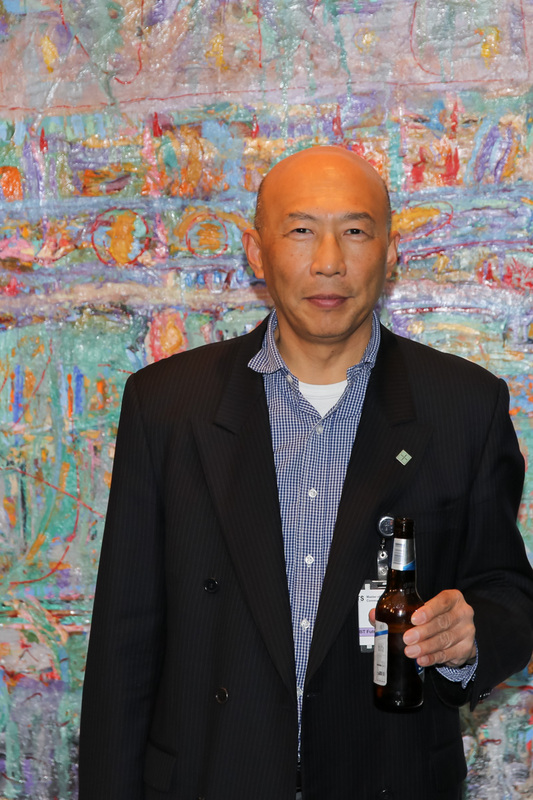 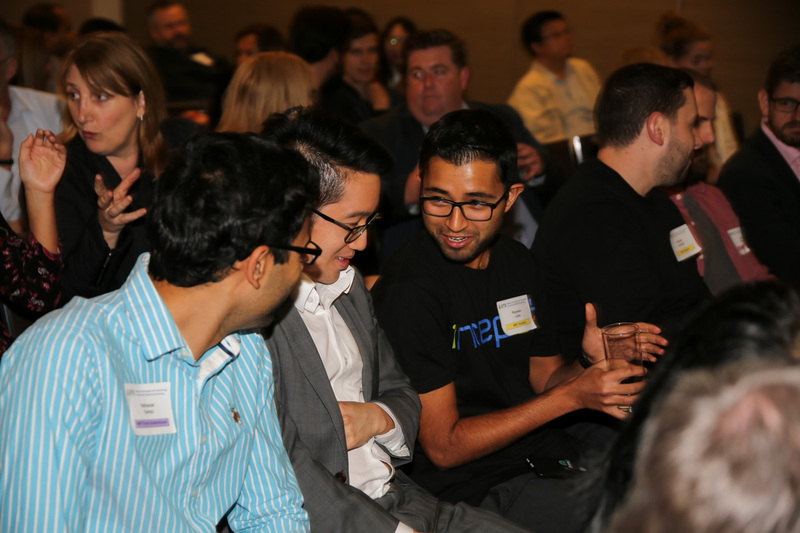 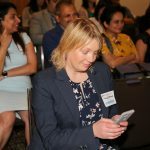 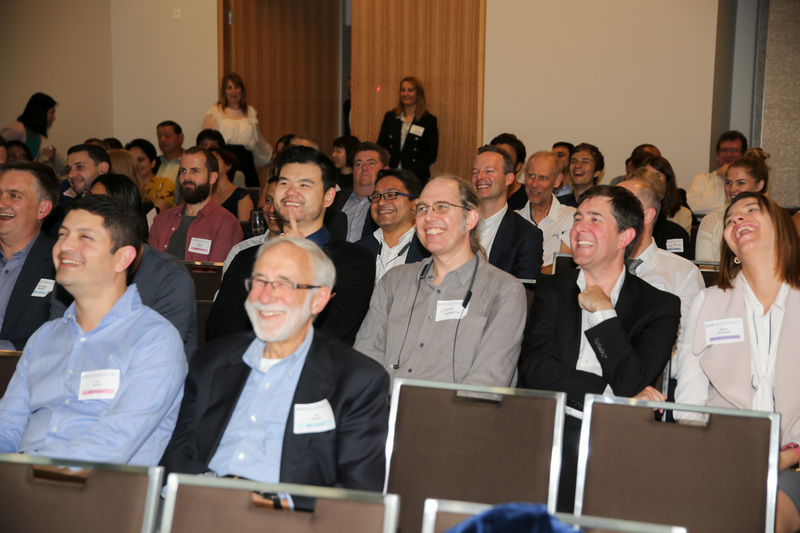 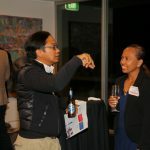 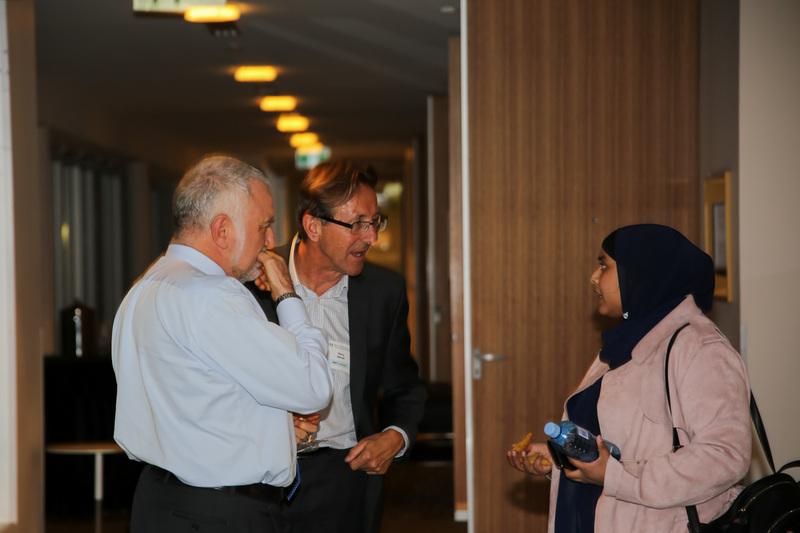 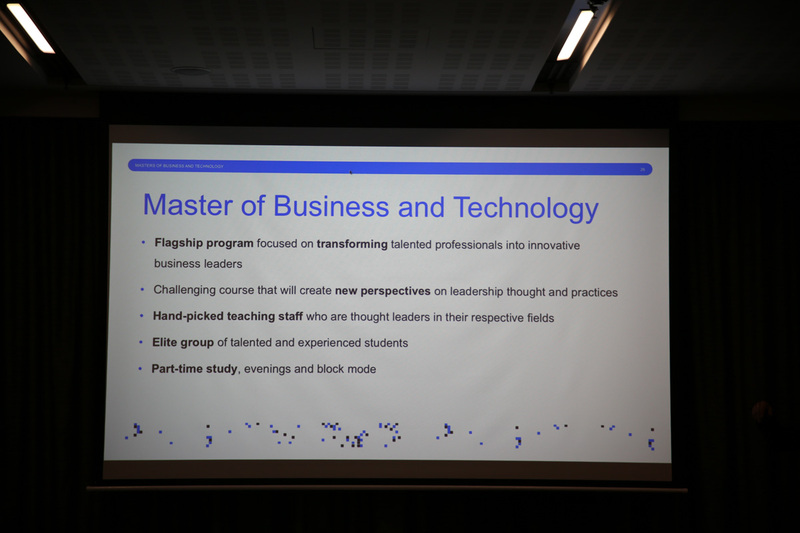 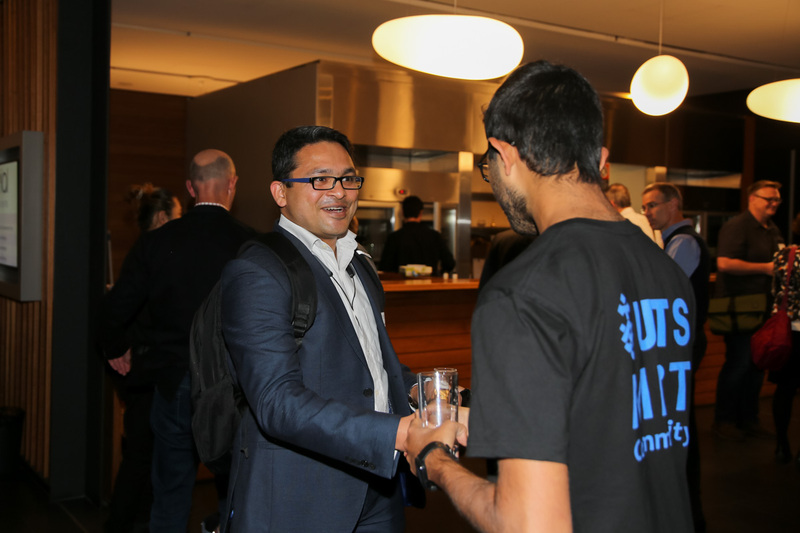 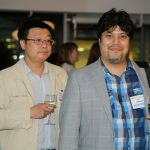 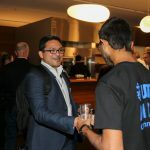 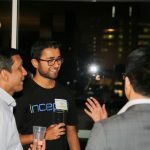 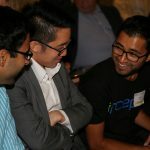 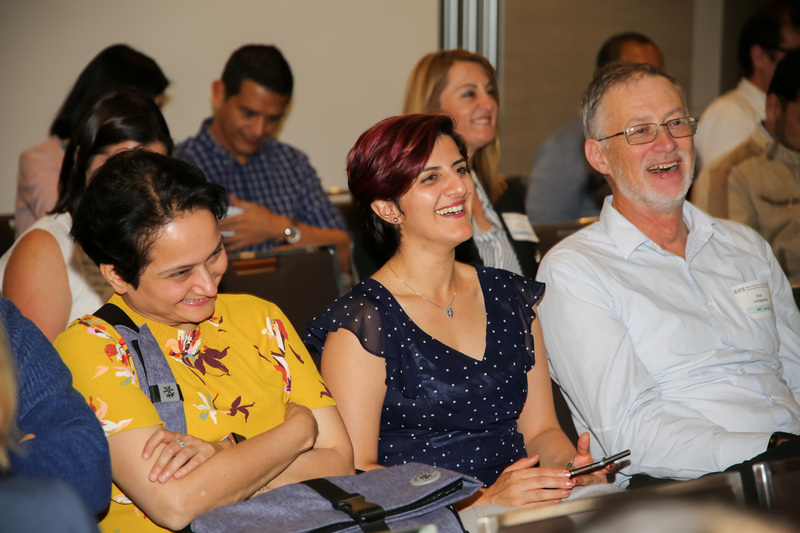 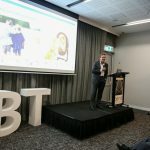 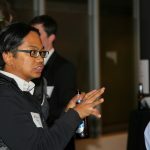 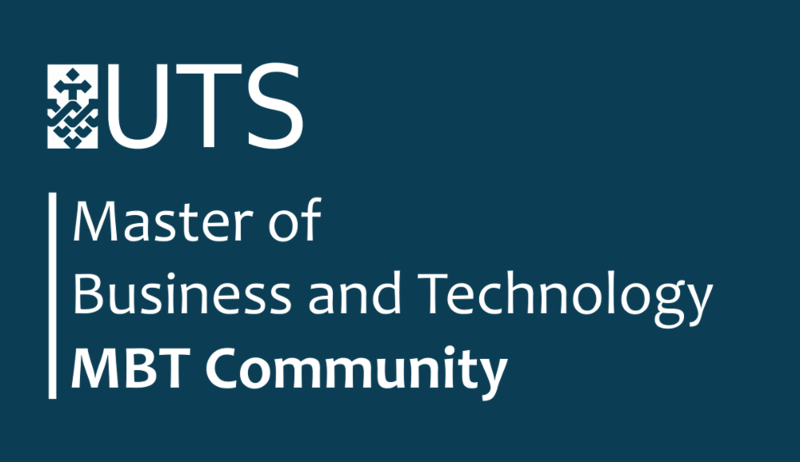 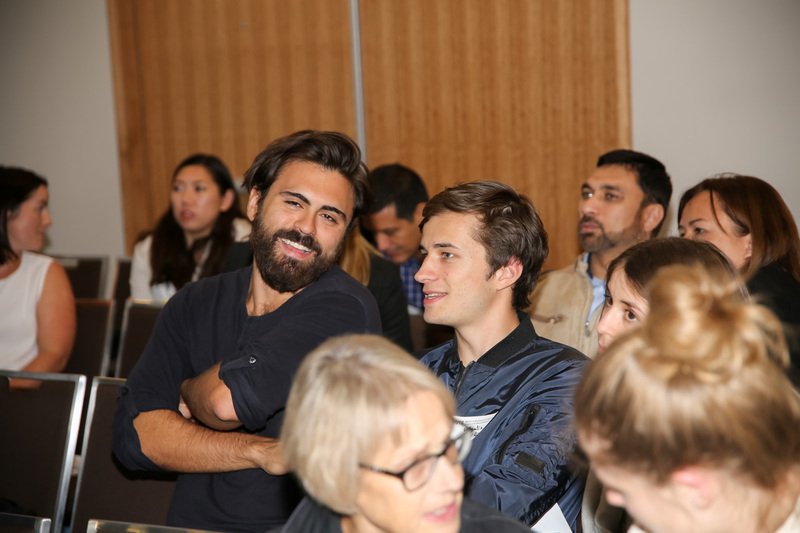 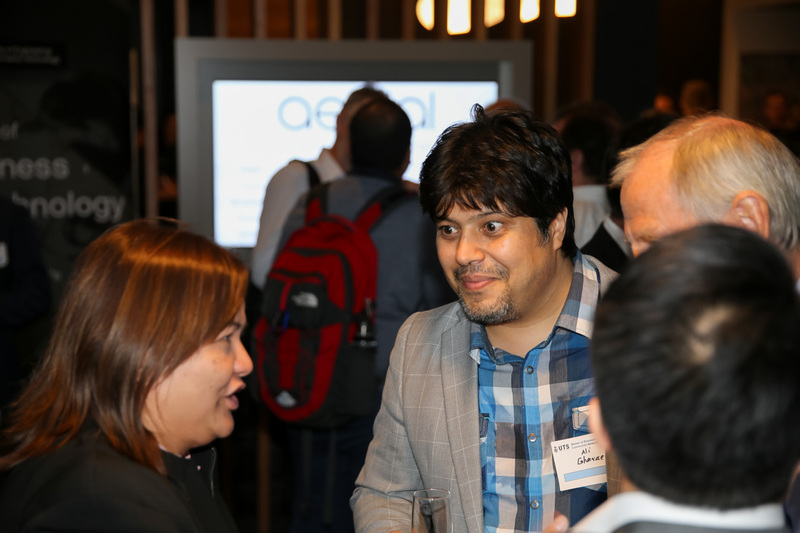 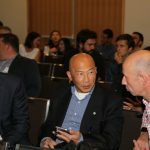 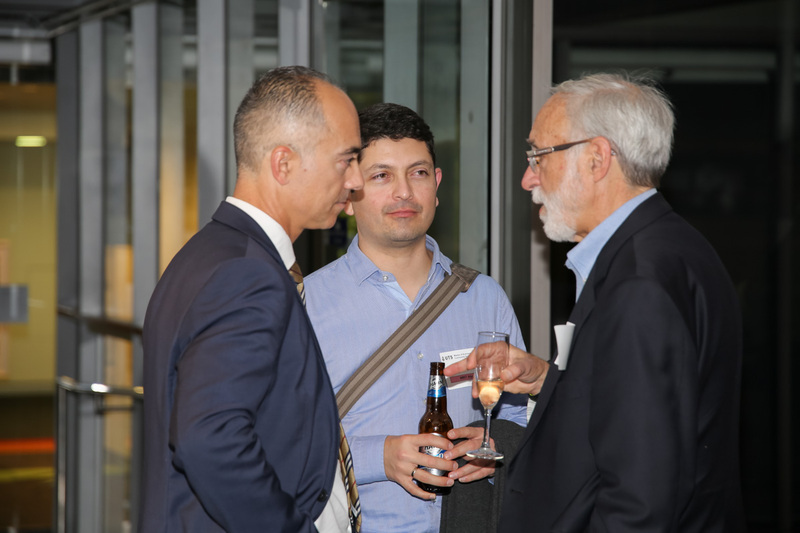 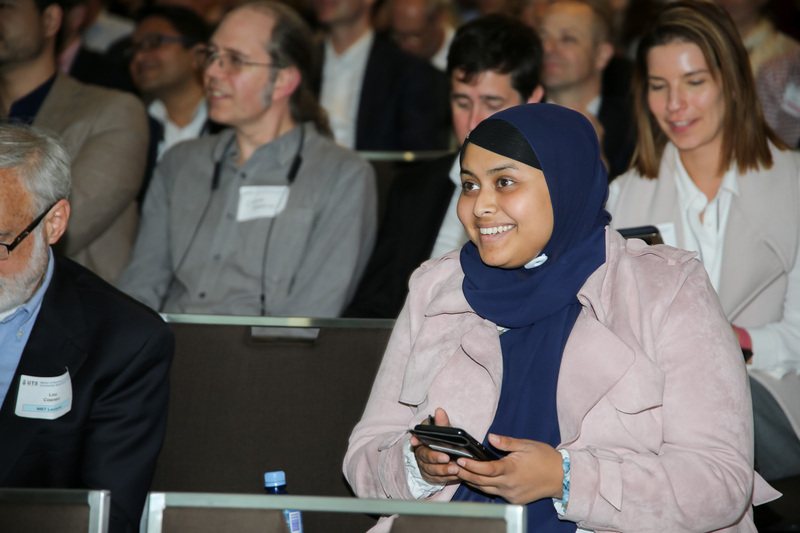 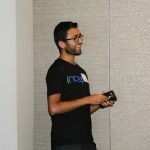 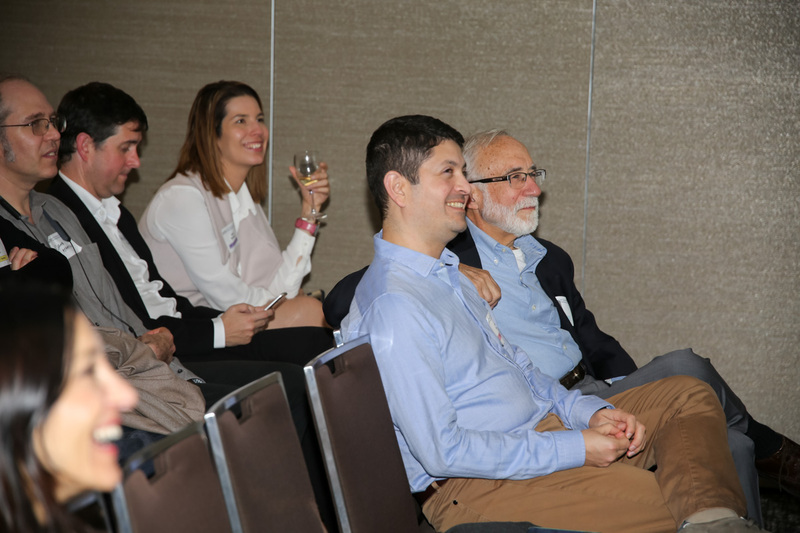 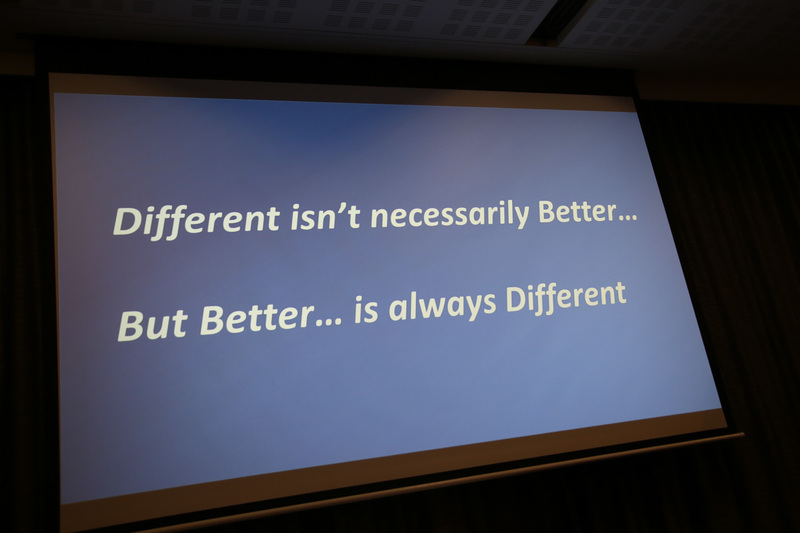 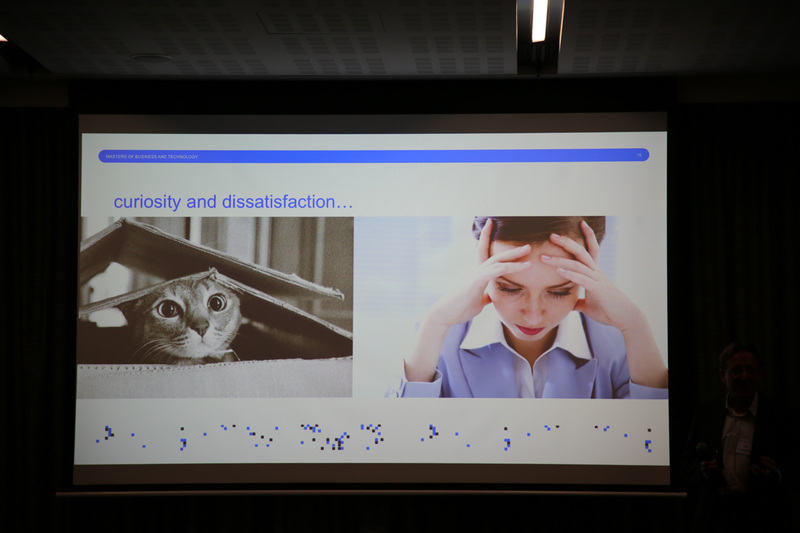 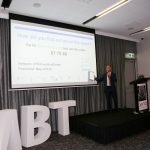 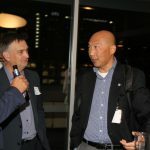 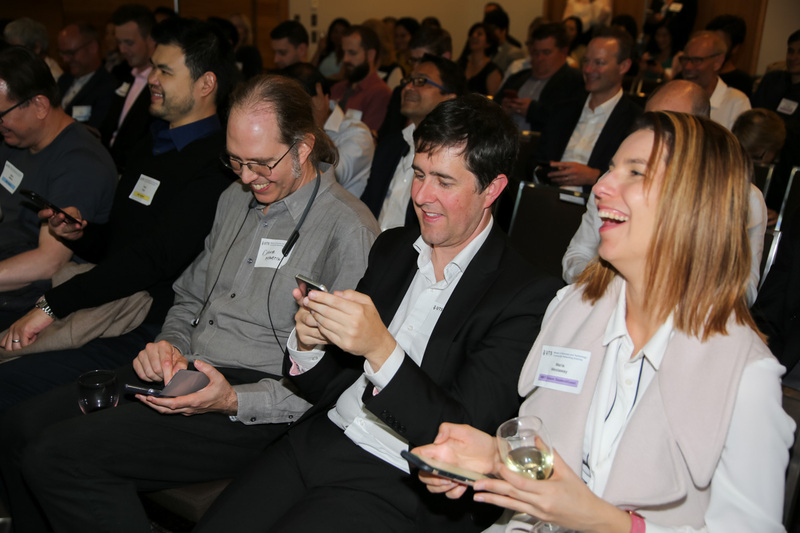 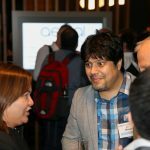 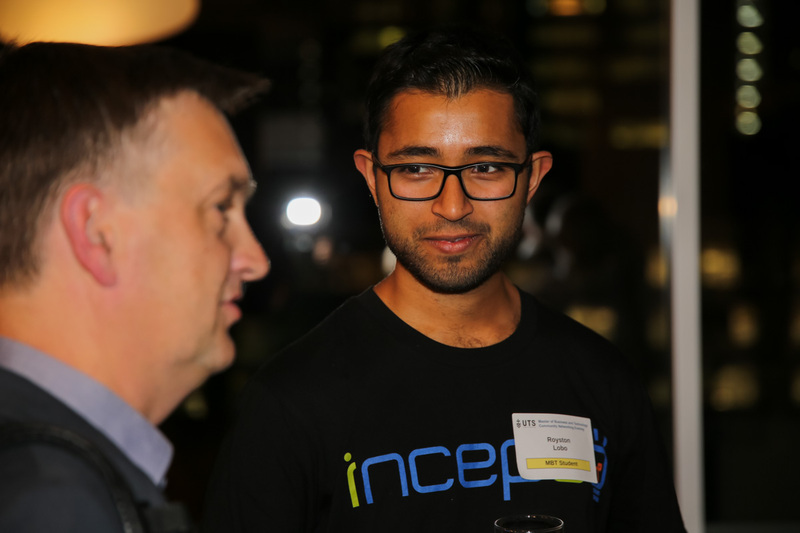 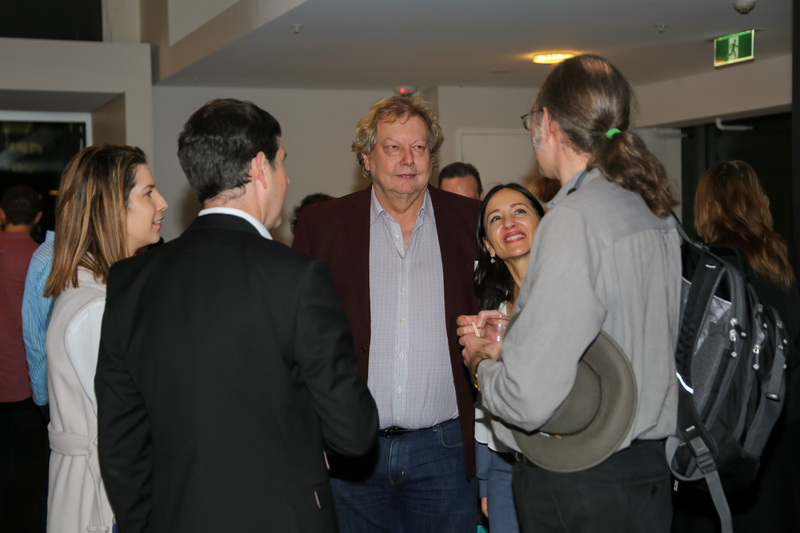 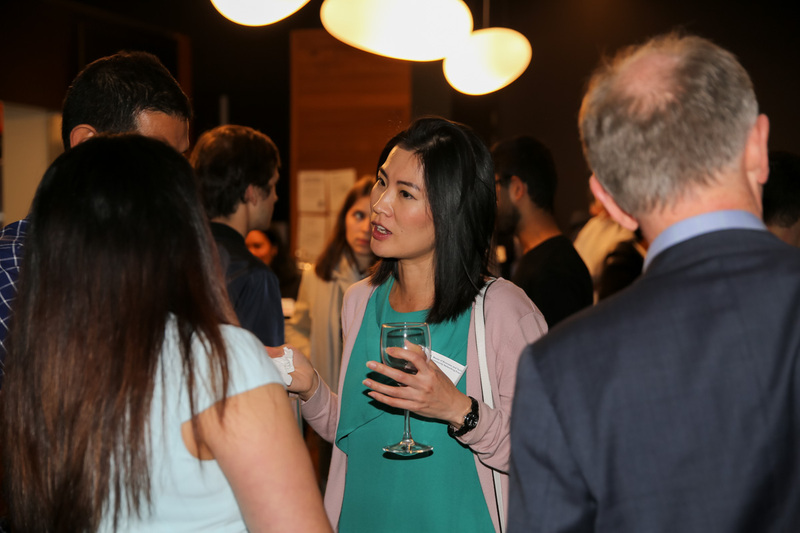 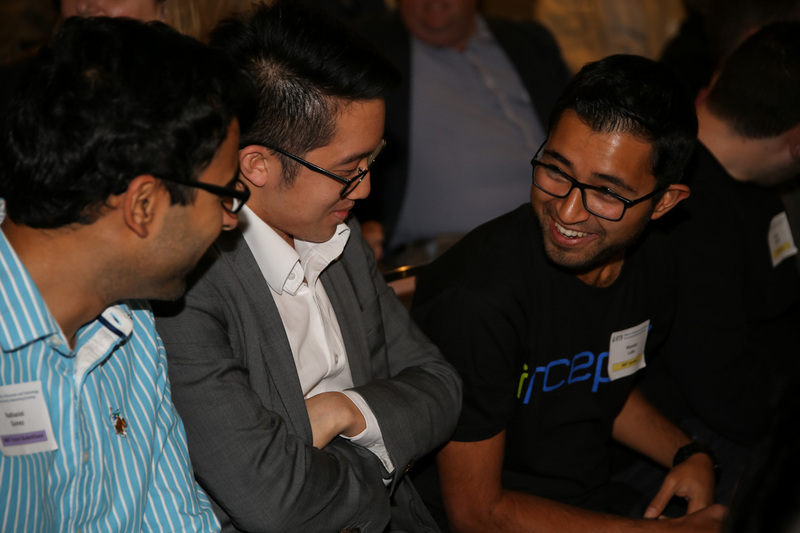 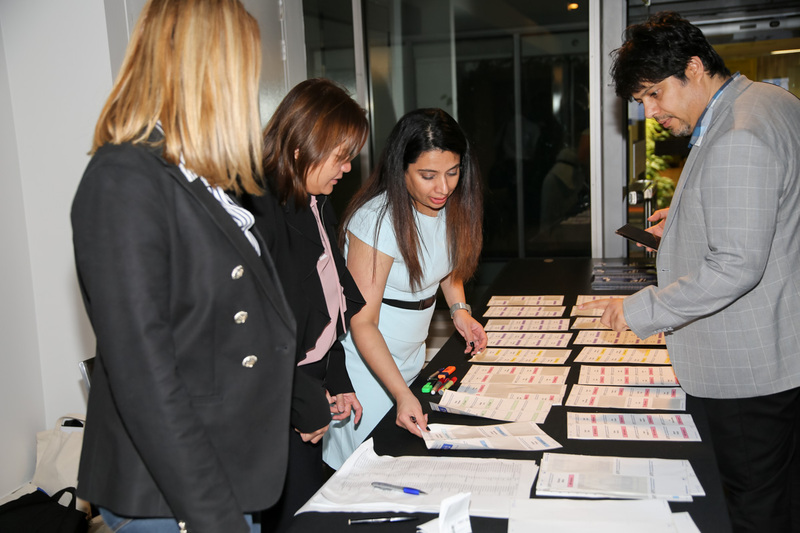 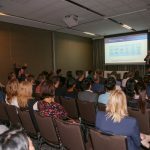 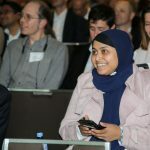 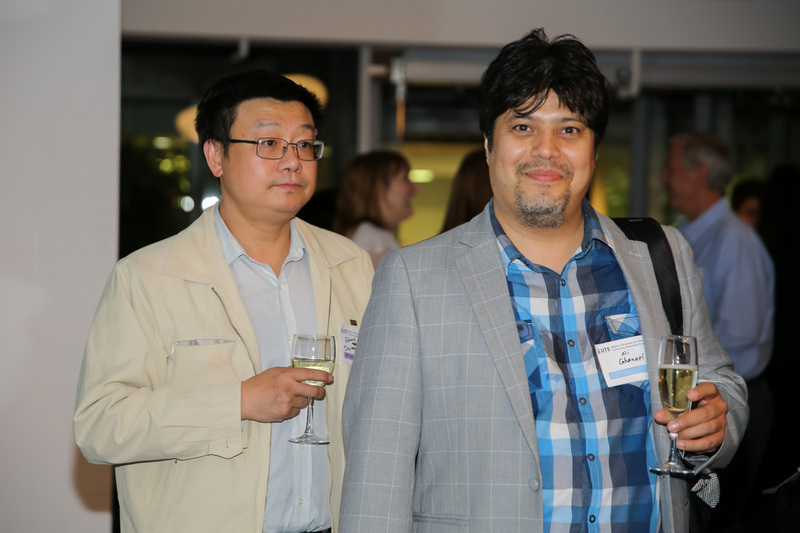 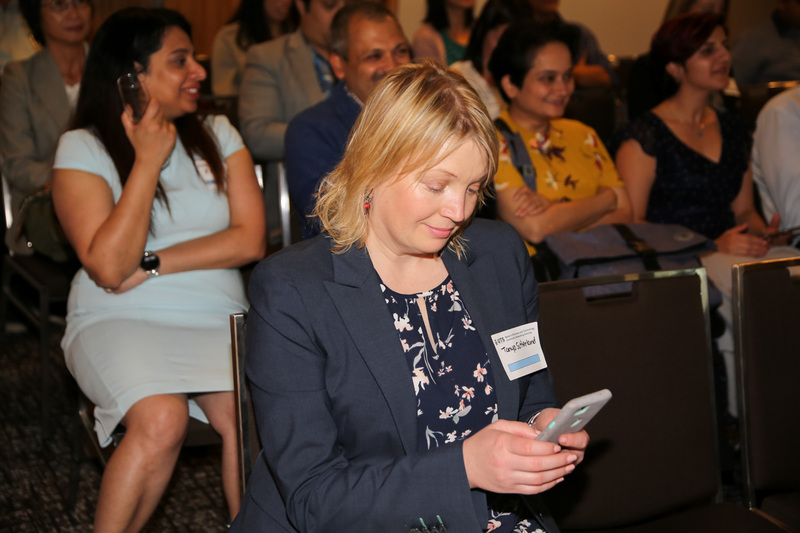 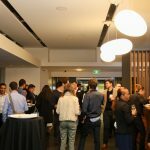 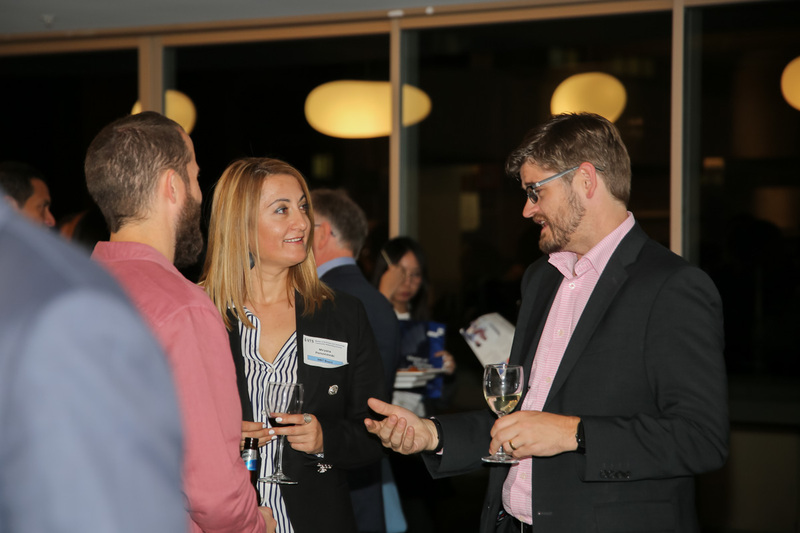 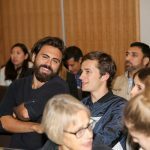 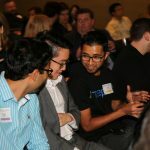 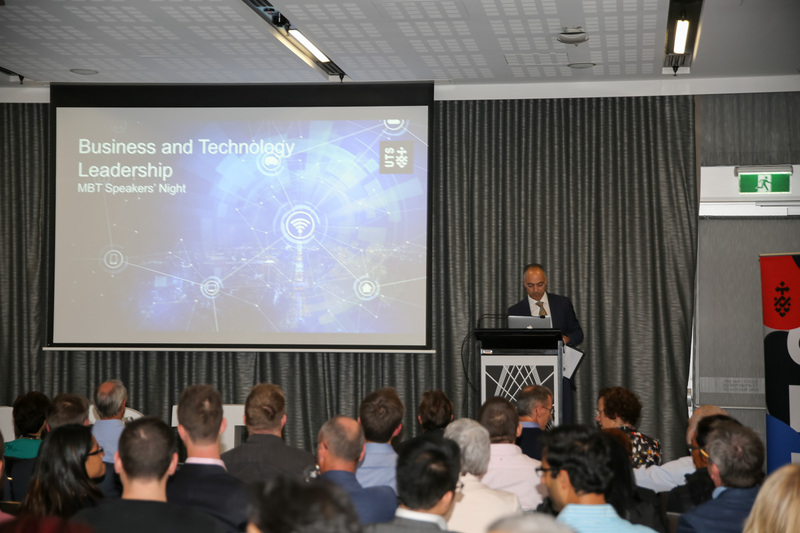 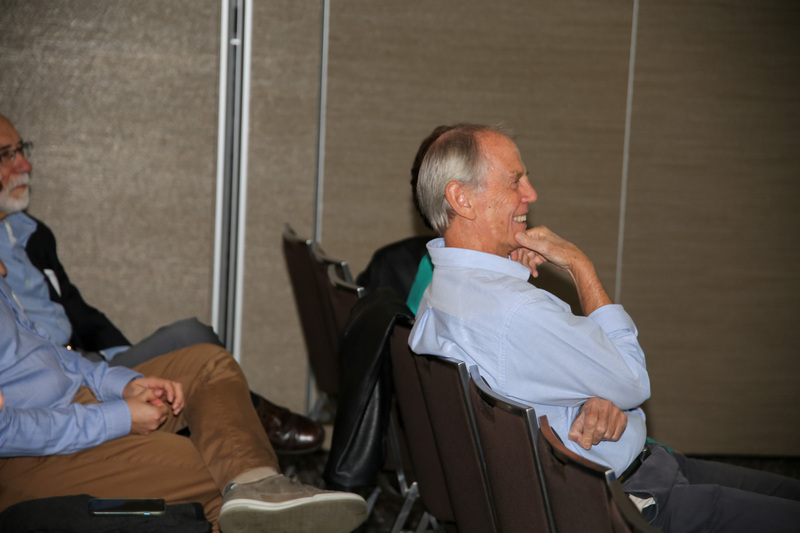 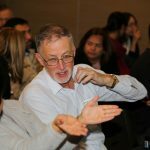 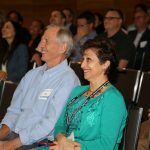 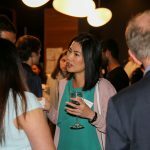 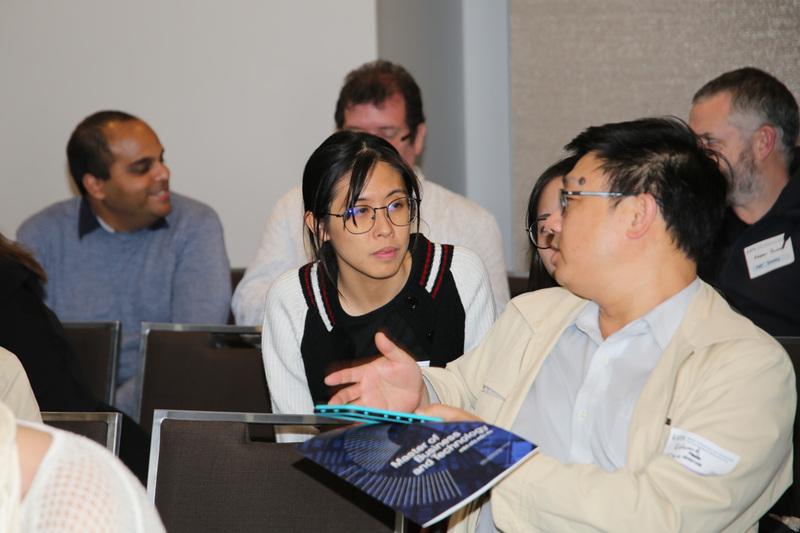 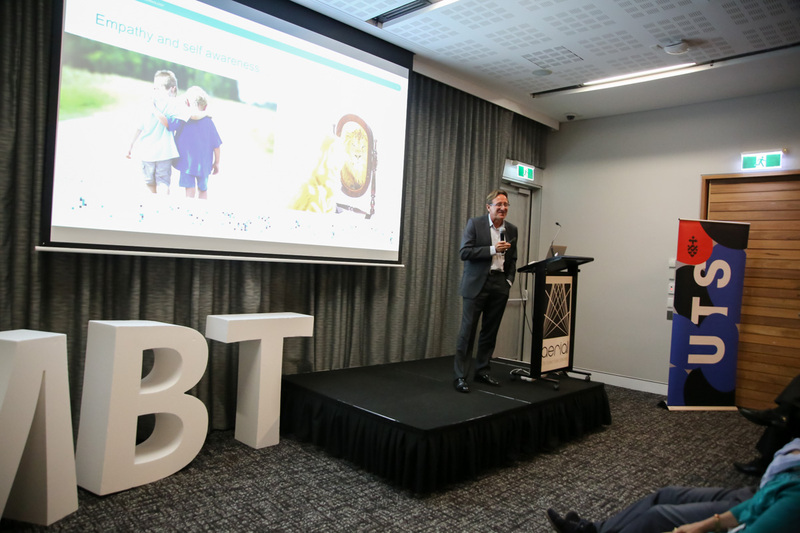 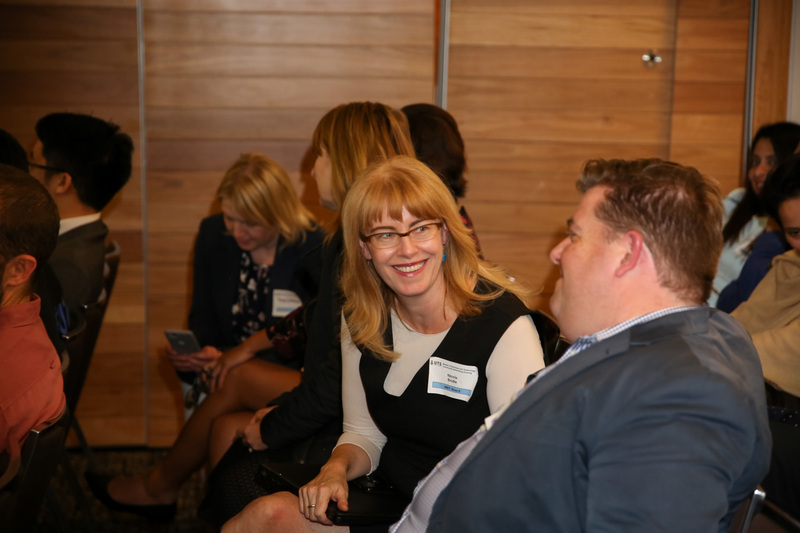 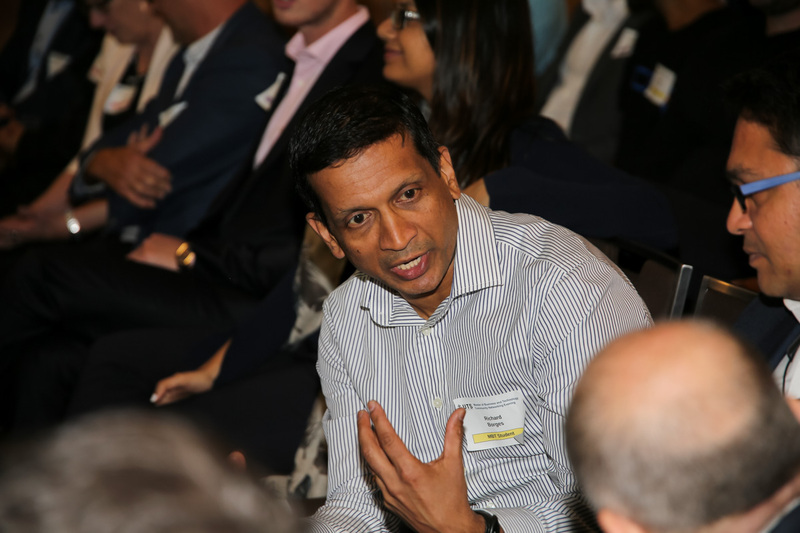 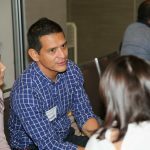 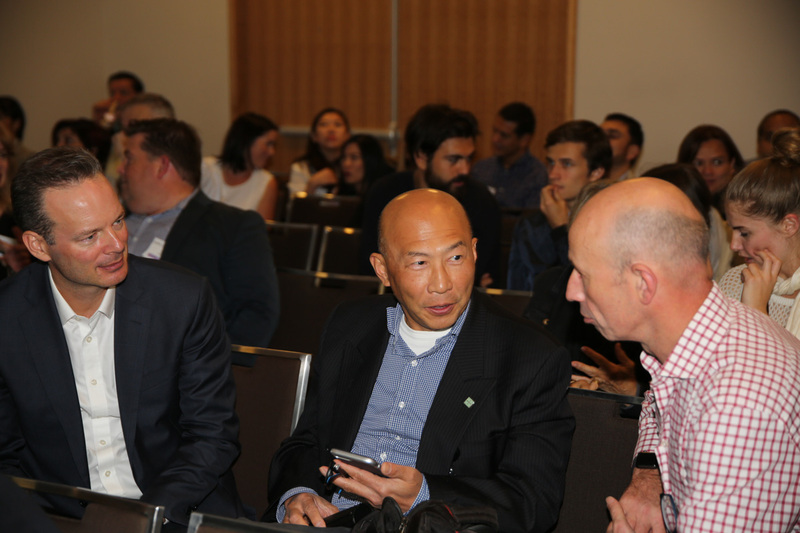 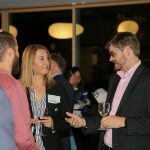 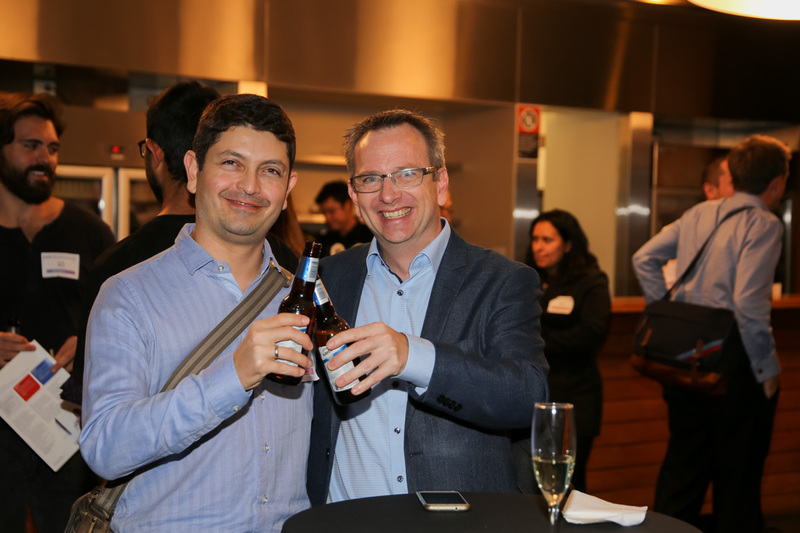 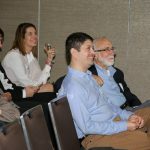 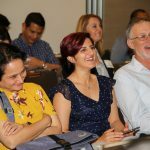 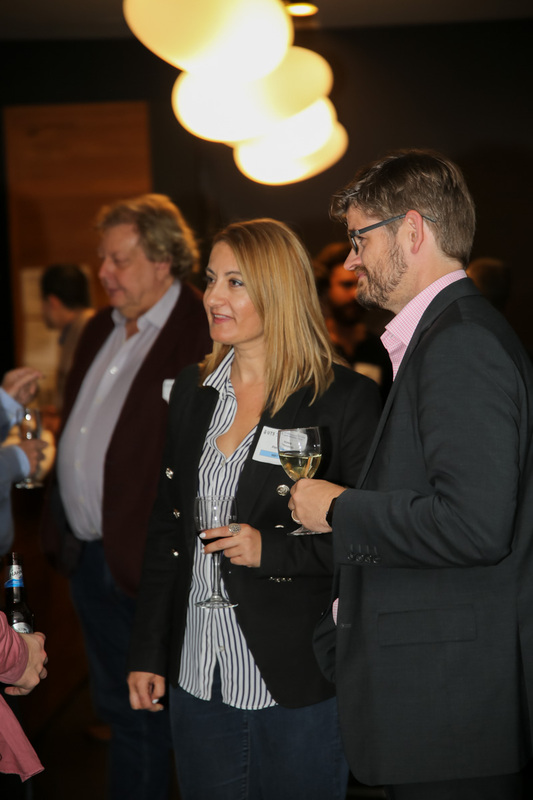 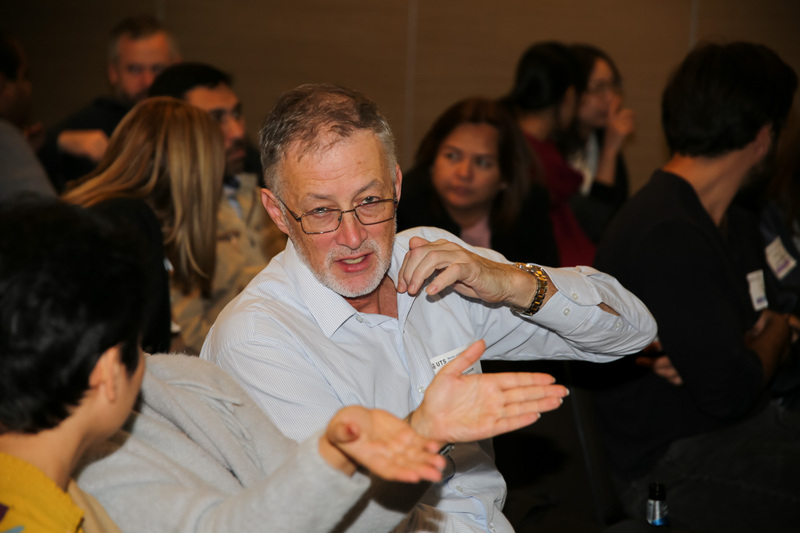 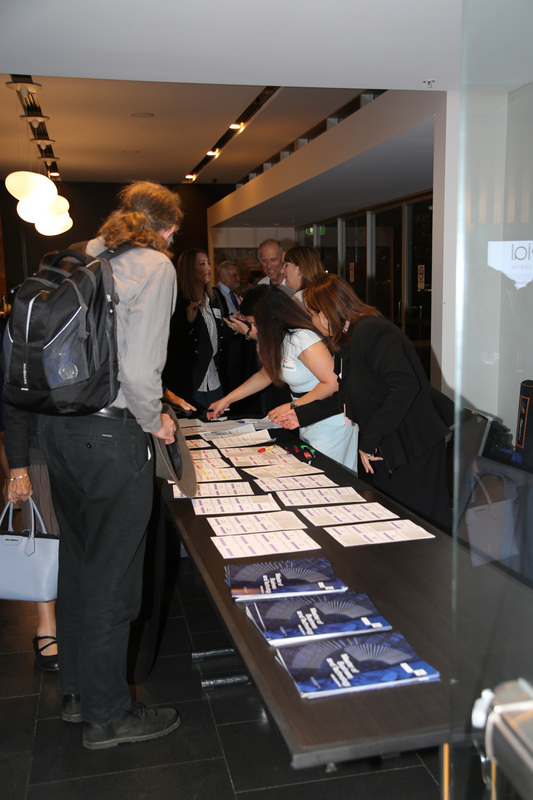 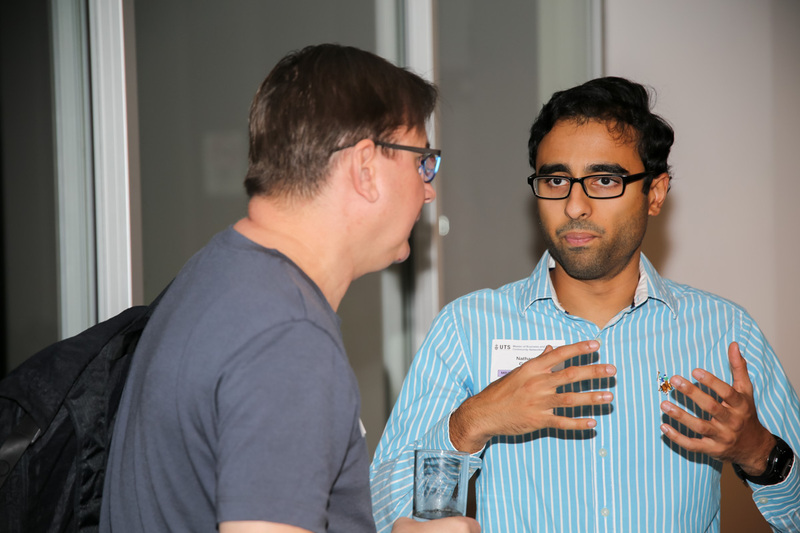 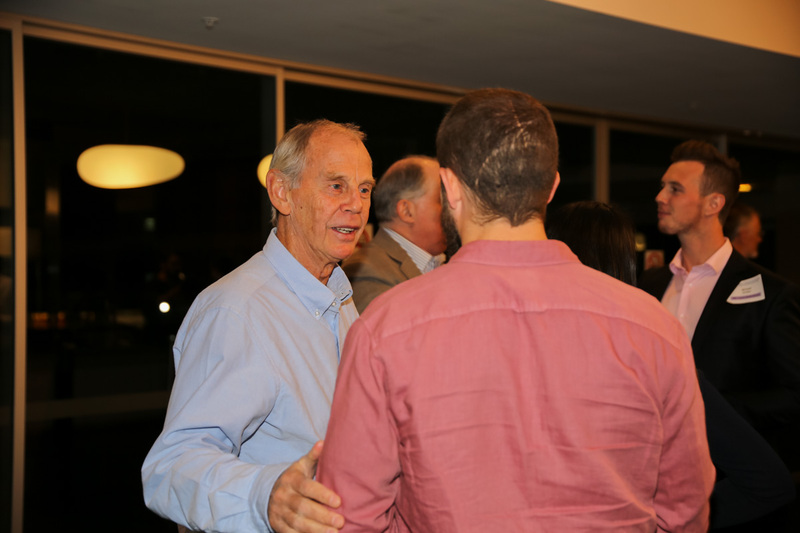 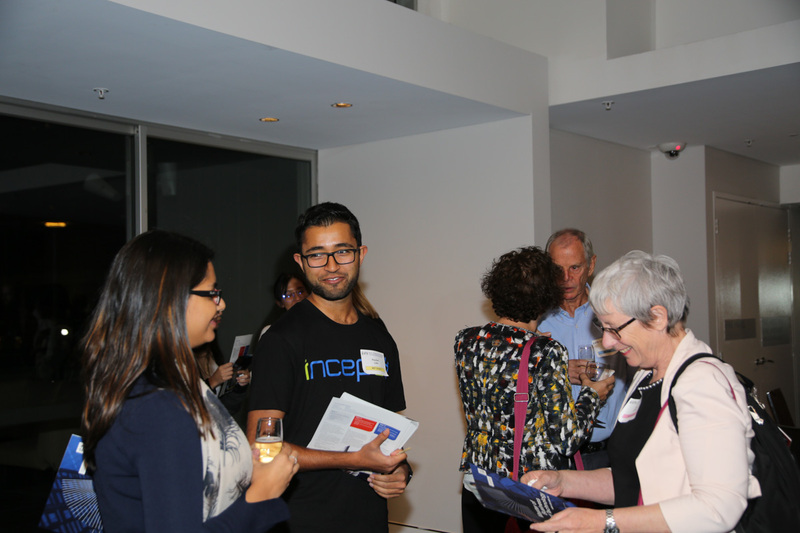 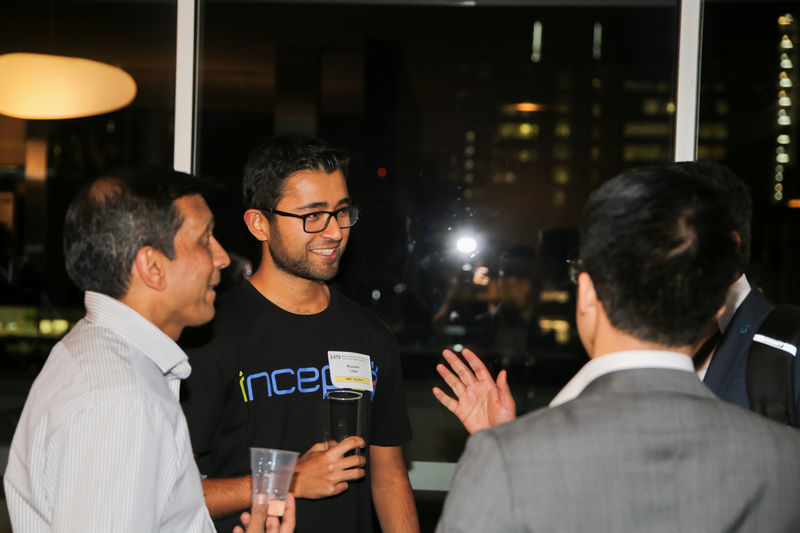 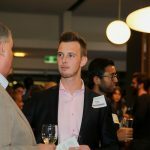 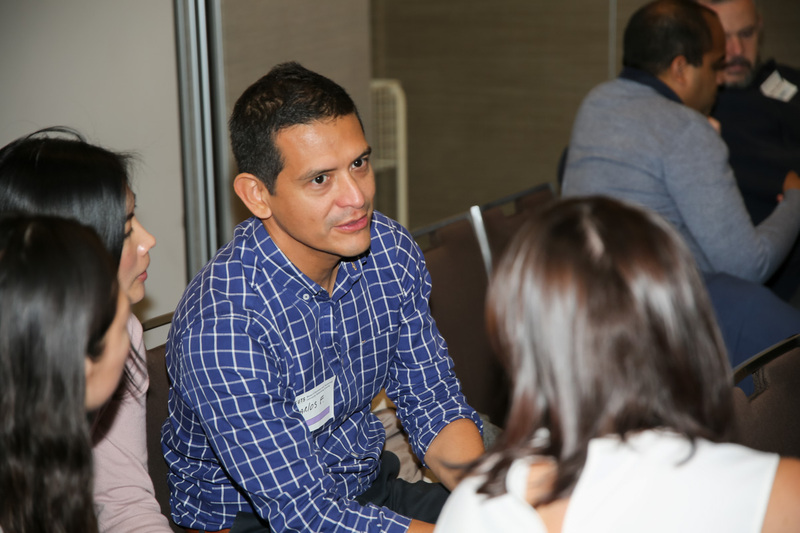 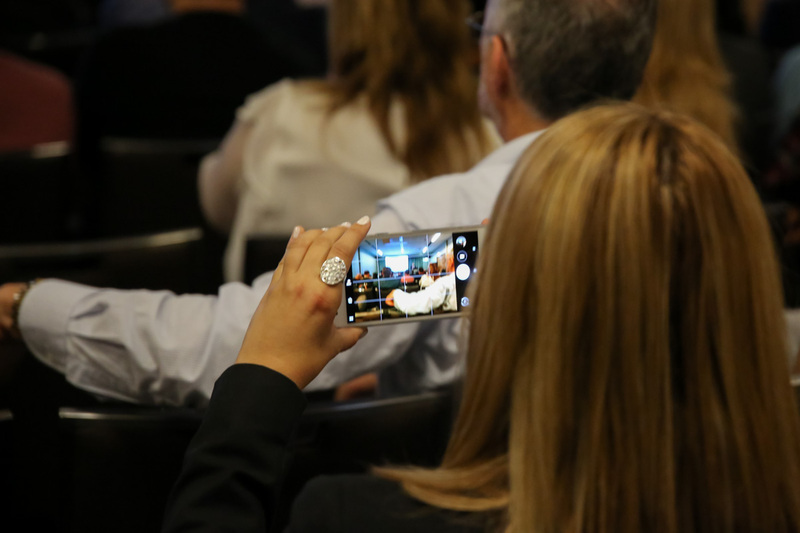 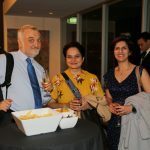 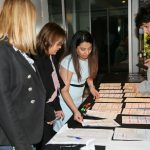 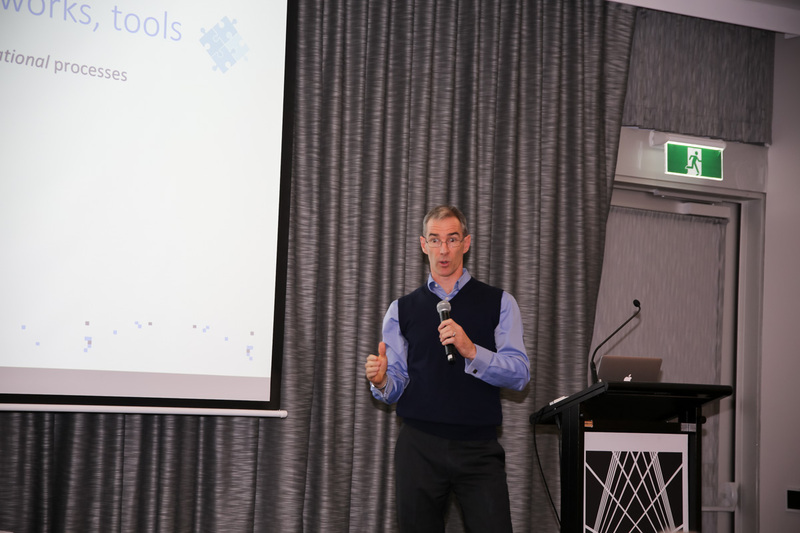 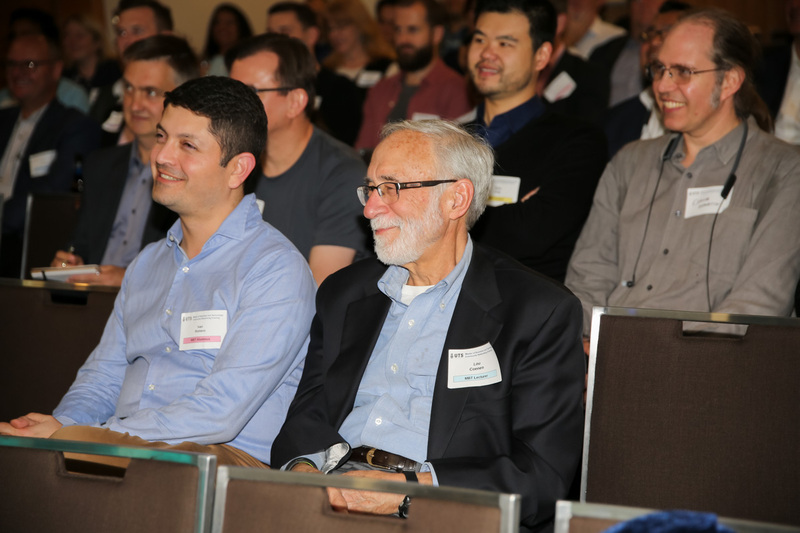 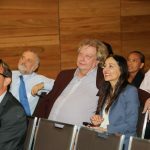 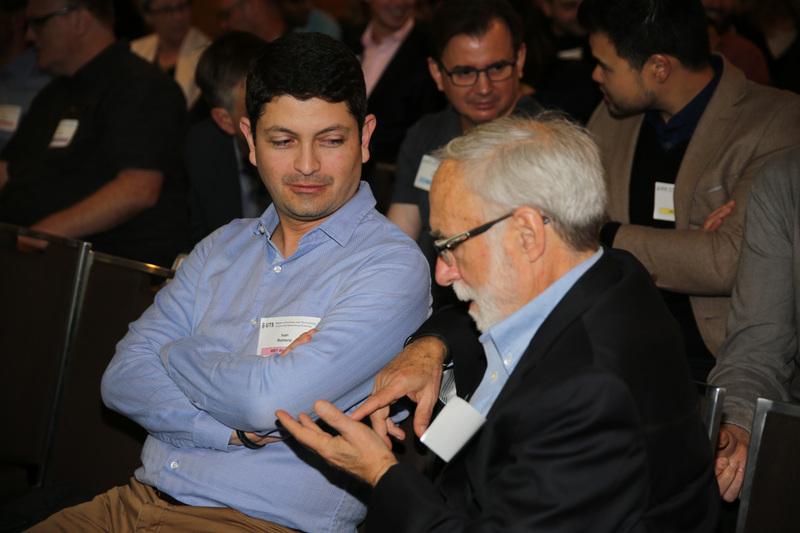 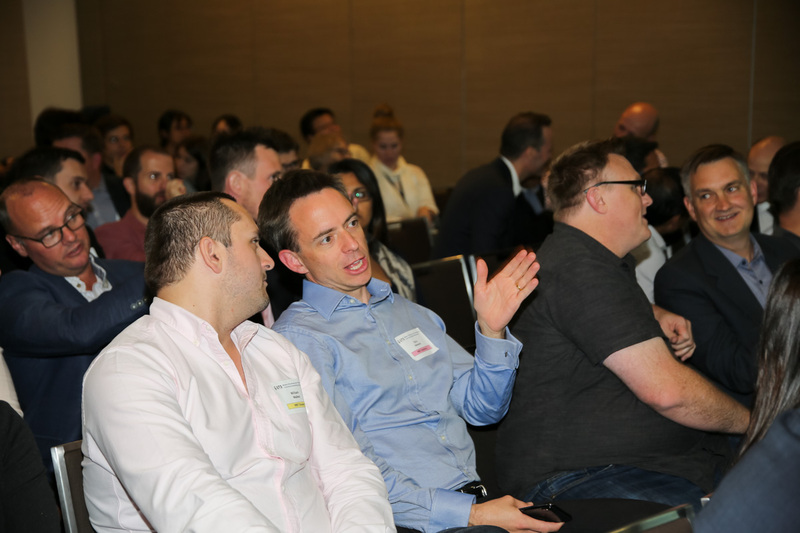 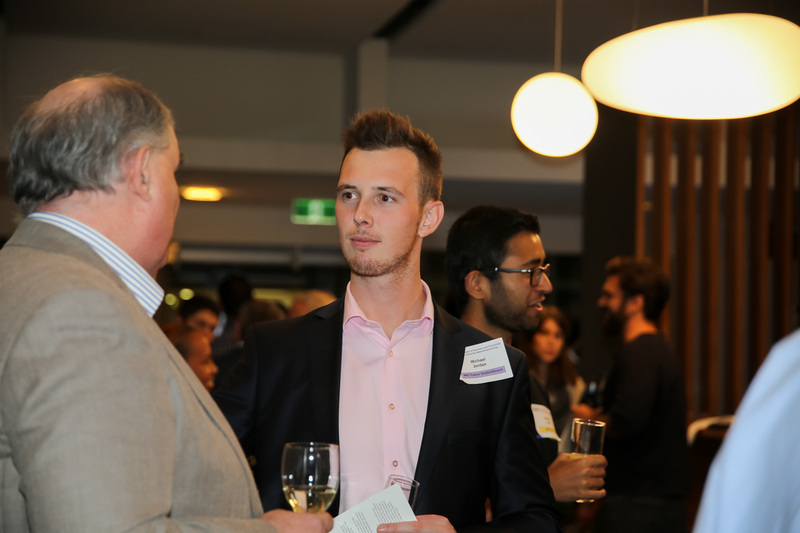 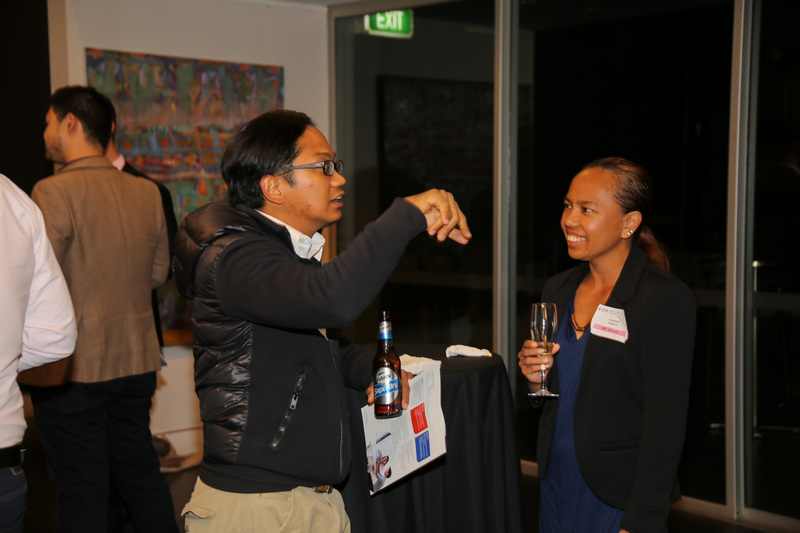 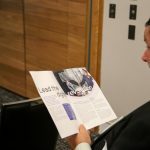 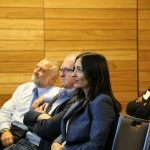 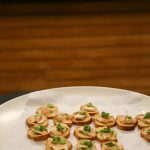 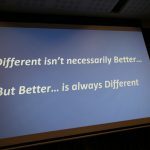 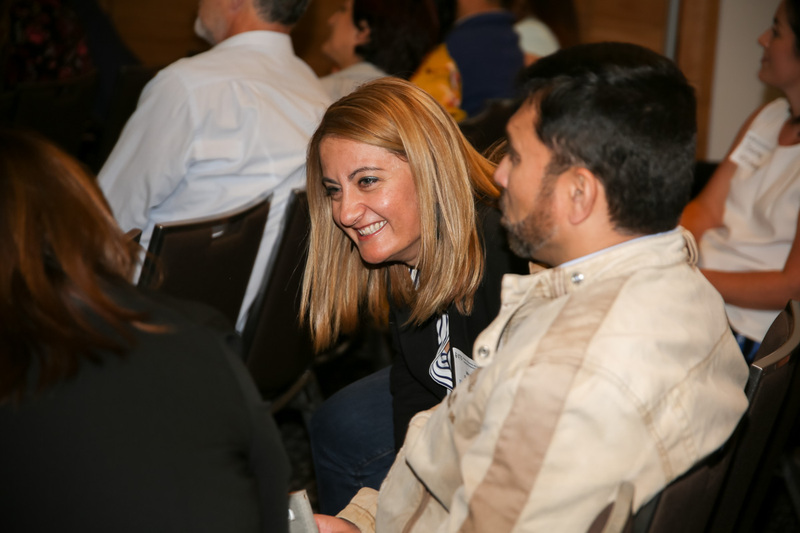 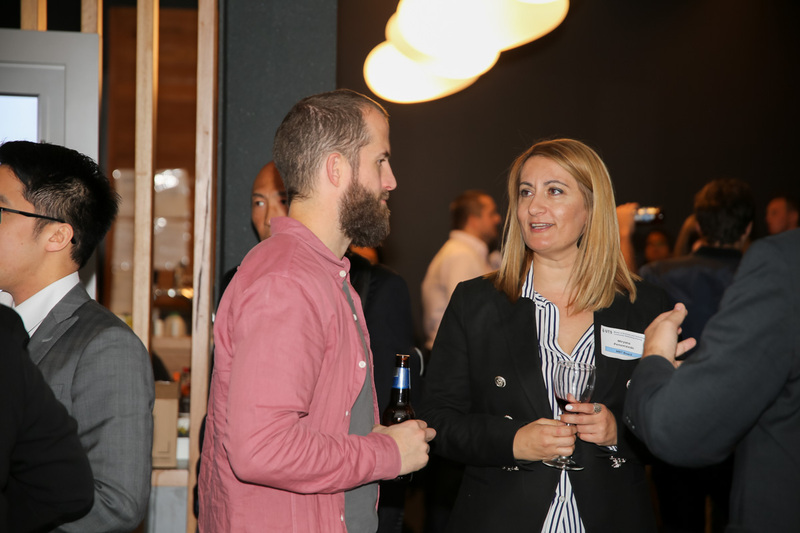 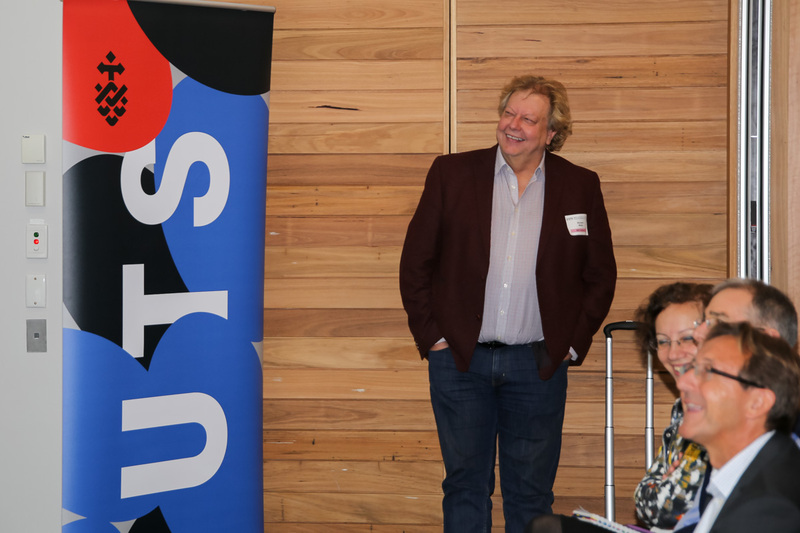 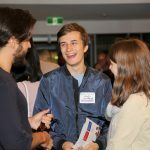 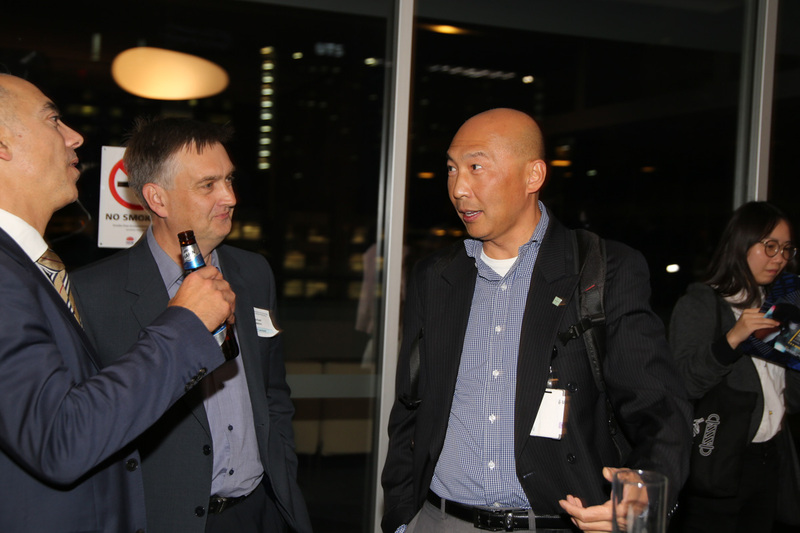 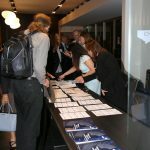 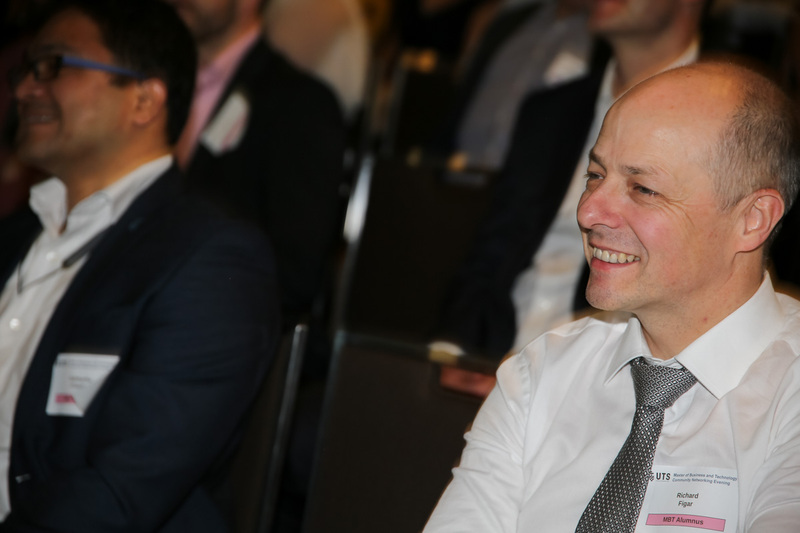 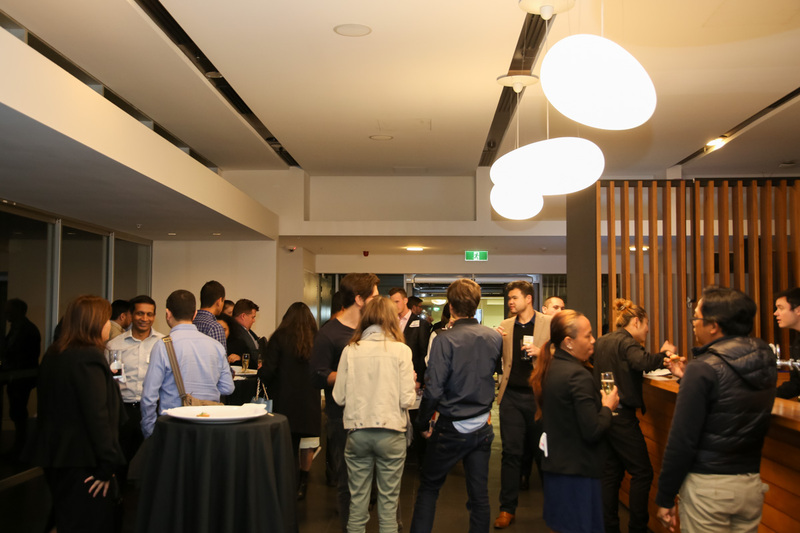 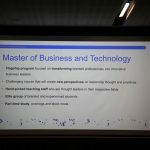 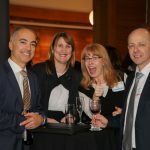 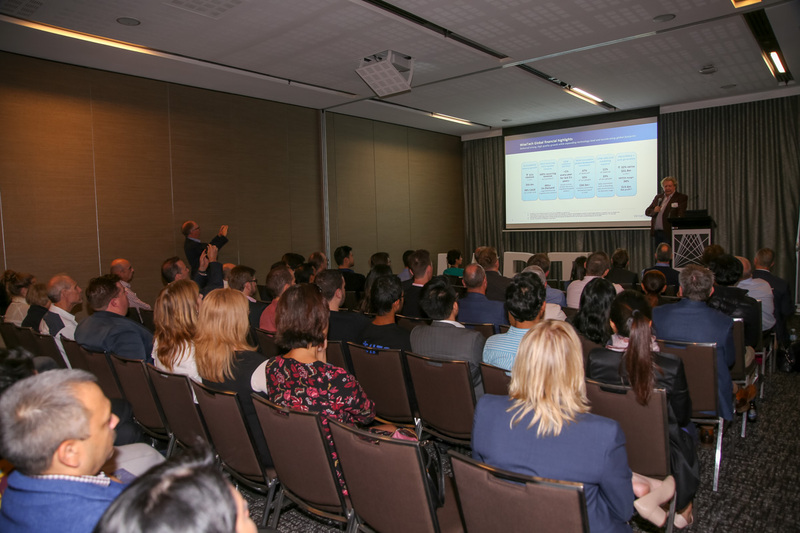 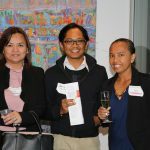 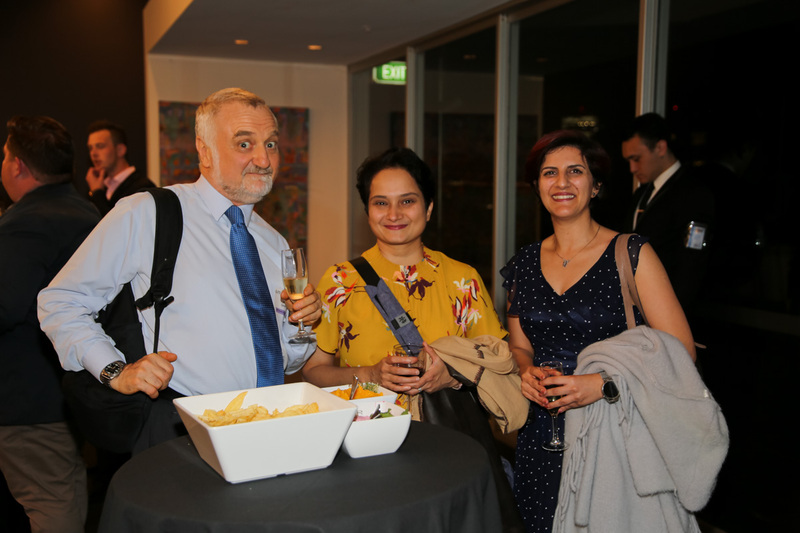 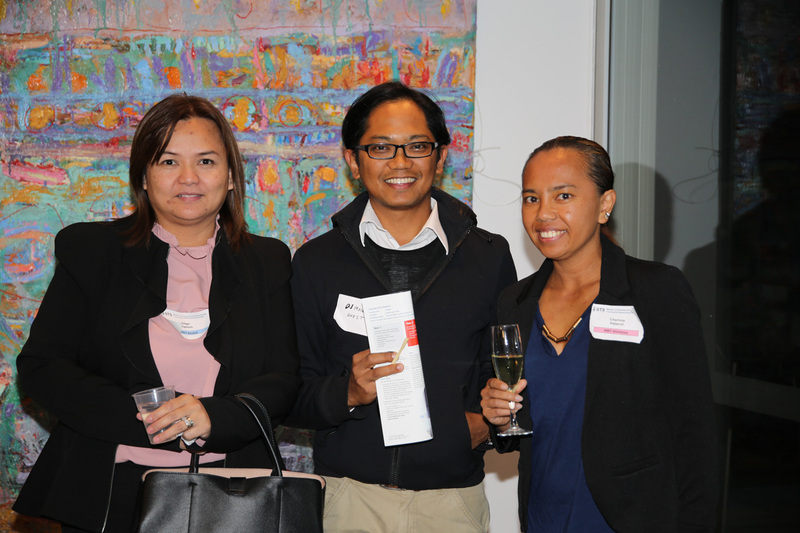 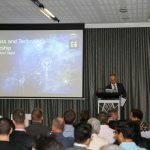 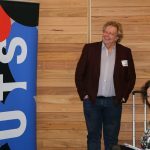 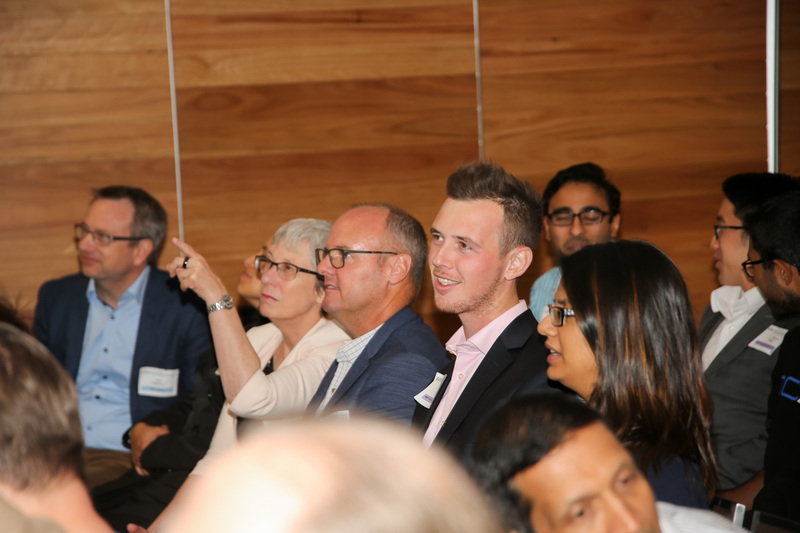 Initiated by the MBT Board to recruit new applicants onto the MBT program, the event showcased aspects of the program that have differentiated it as a Masters program at, and beyond, UTS. 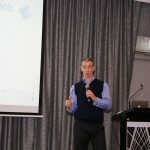 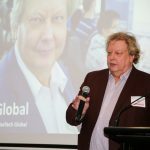 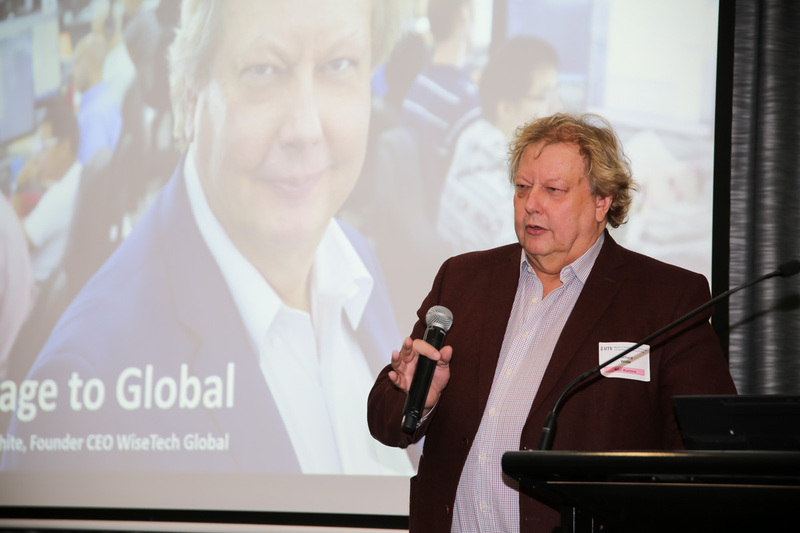 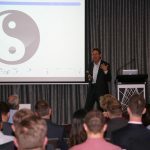 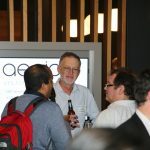 Richard White, an MBT alumnus who has gone on to create a highly successful global organisation (WiseTech Global), opened the evening with an interesting presentation on the strategic thinking behind the success of his business; explaining how his years in the MBT influenced his approach to the growth of the company from a small 8-person operation to an ASX listed firm. 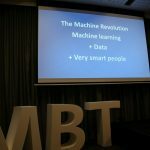 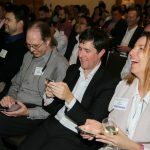 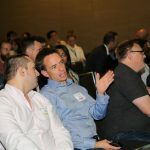 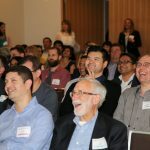 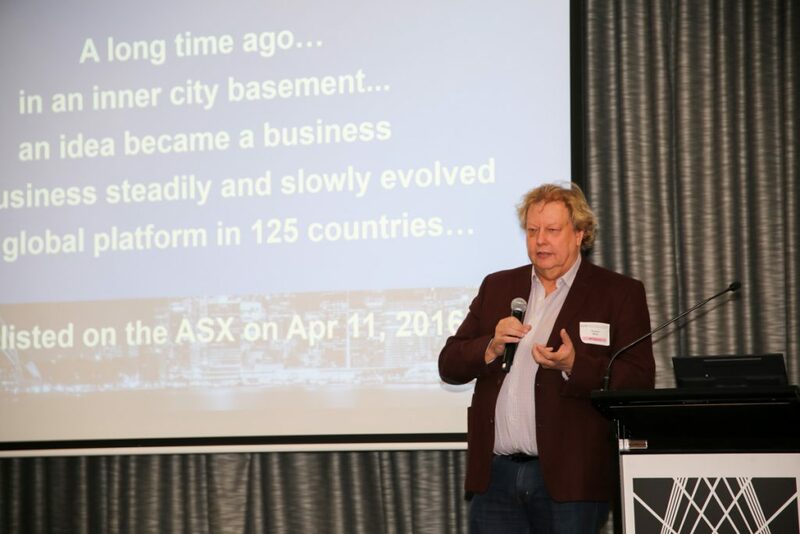 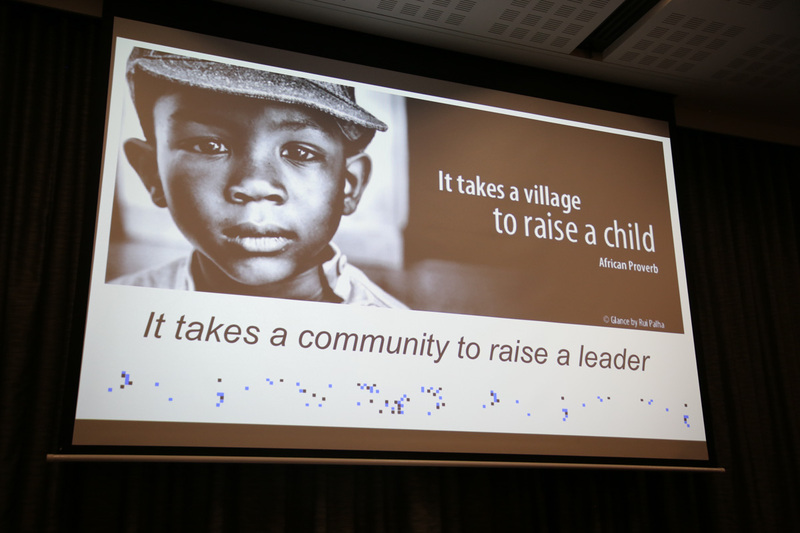 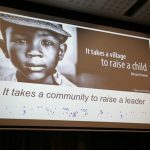 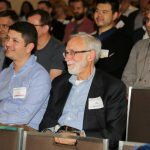 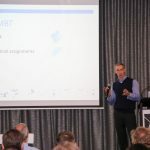 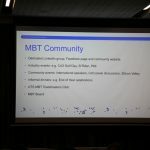 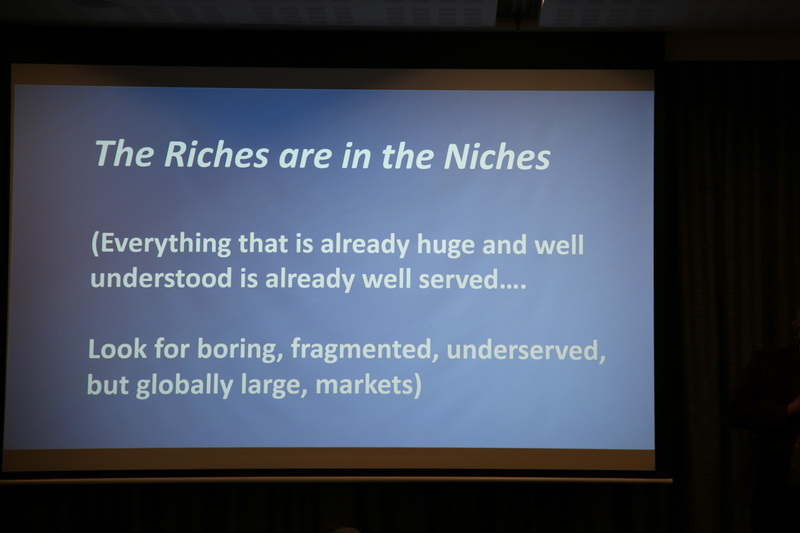 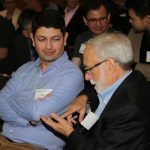 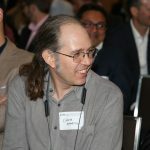 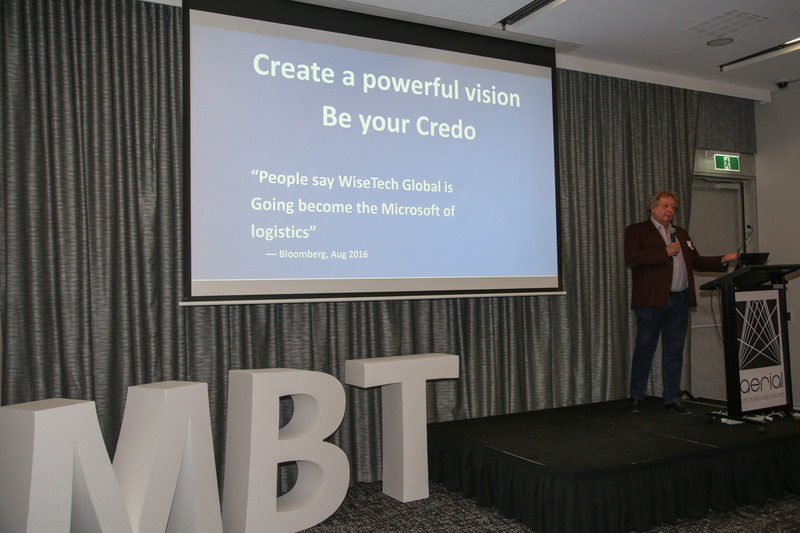 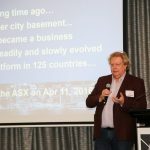 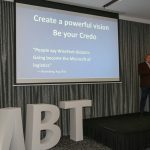 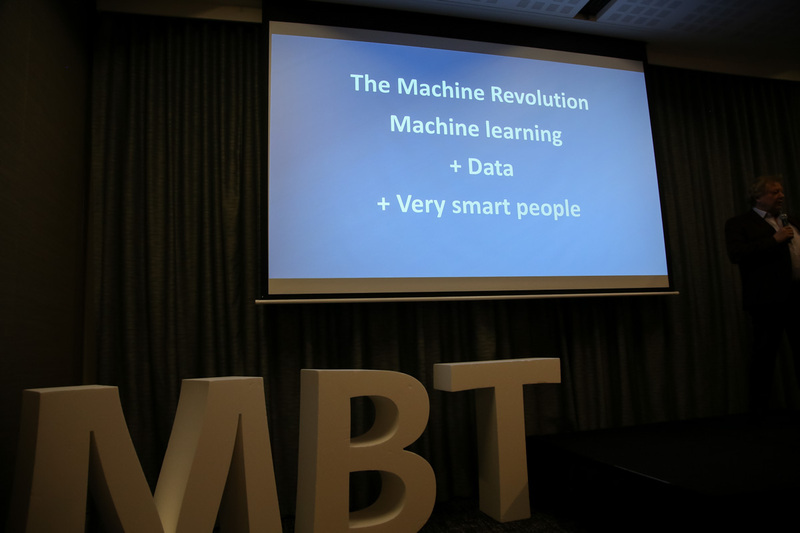 A brief summary of the main points raised by Richard in his presentation is posted on the MBT Community website, alongside this synopsis of the event. 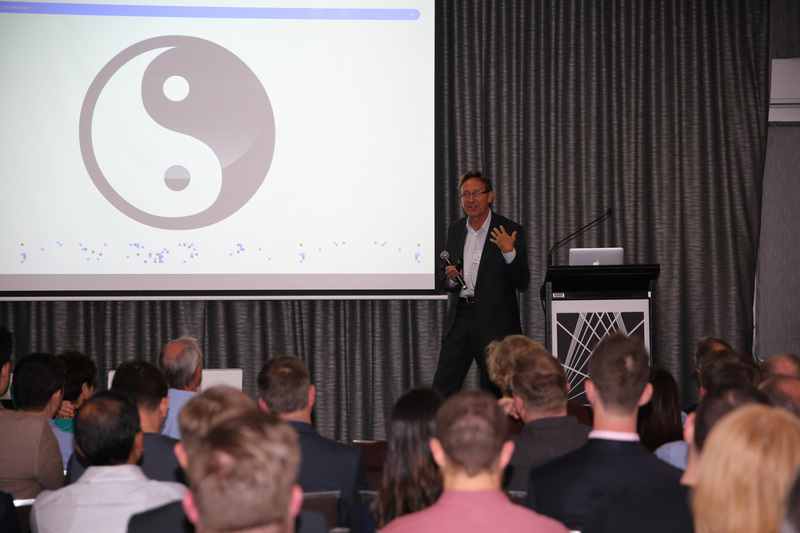 The second presentation was delivered by Harry Wendt, one of the guest lecturers used by Eng Chew in his strategy subjects. 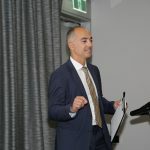 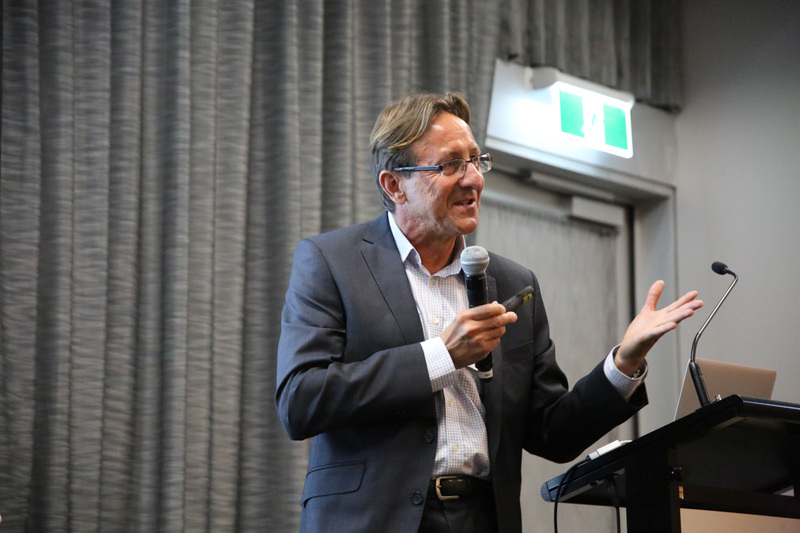 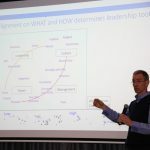 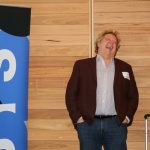 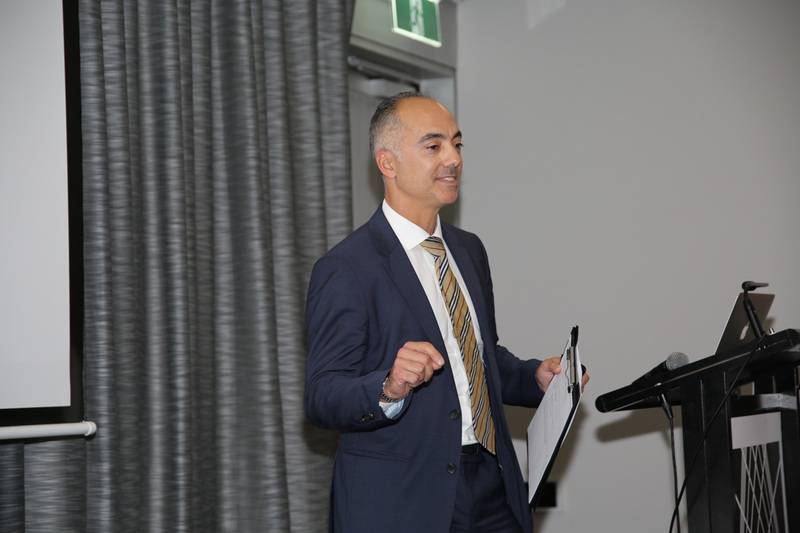 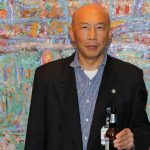 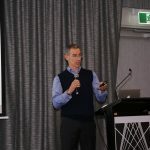 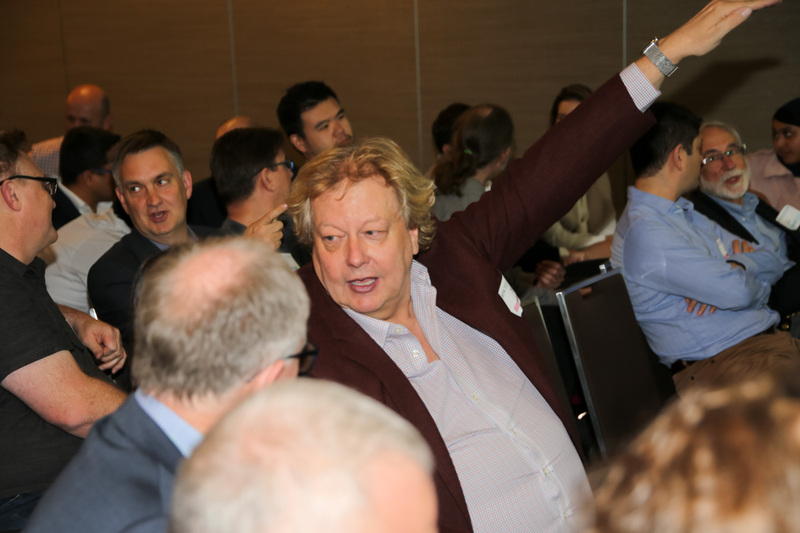 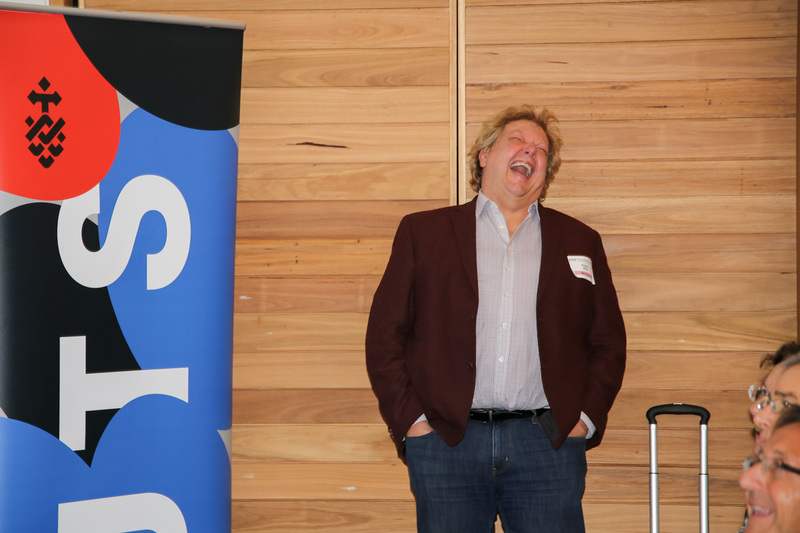 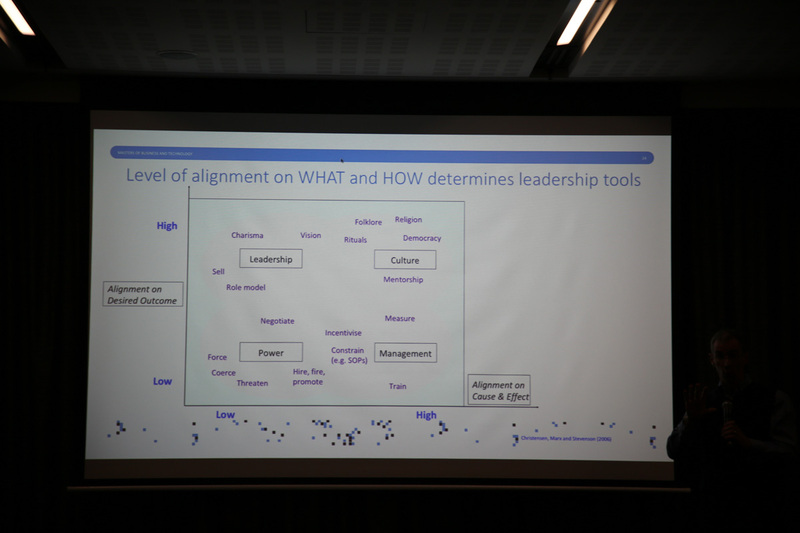 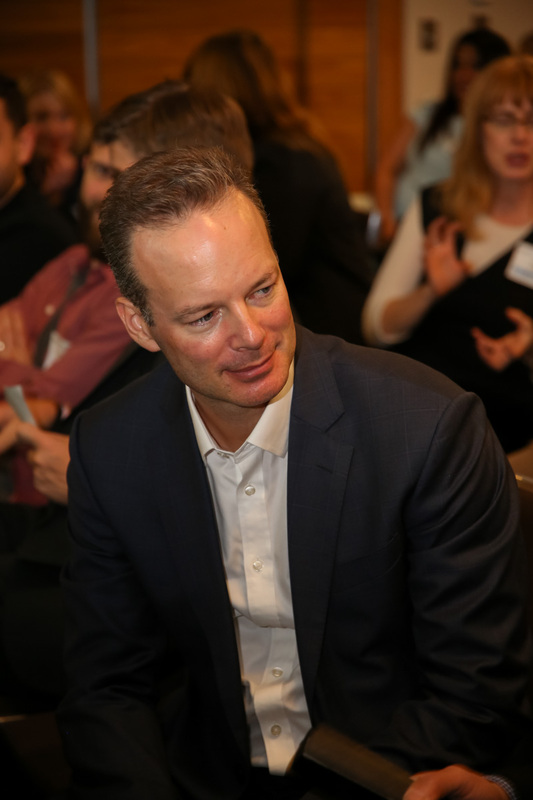 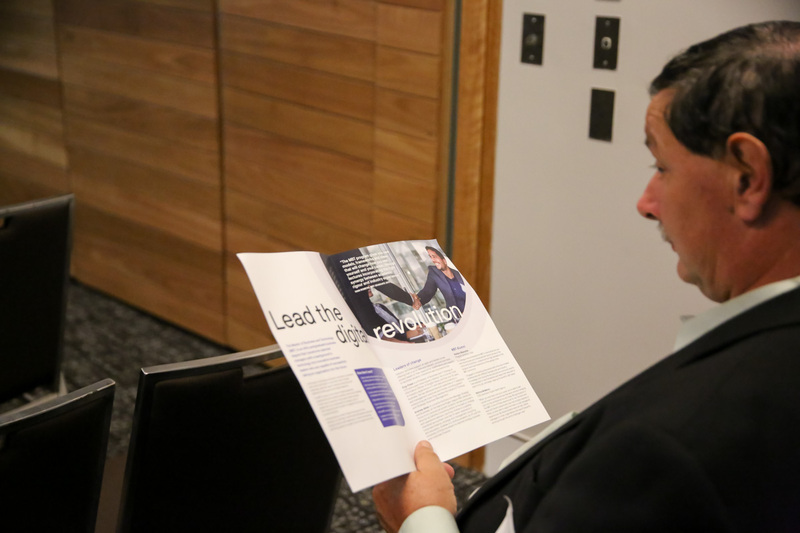 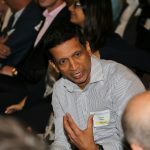 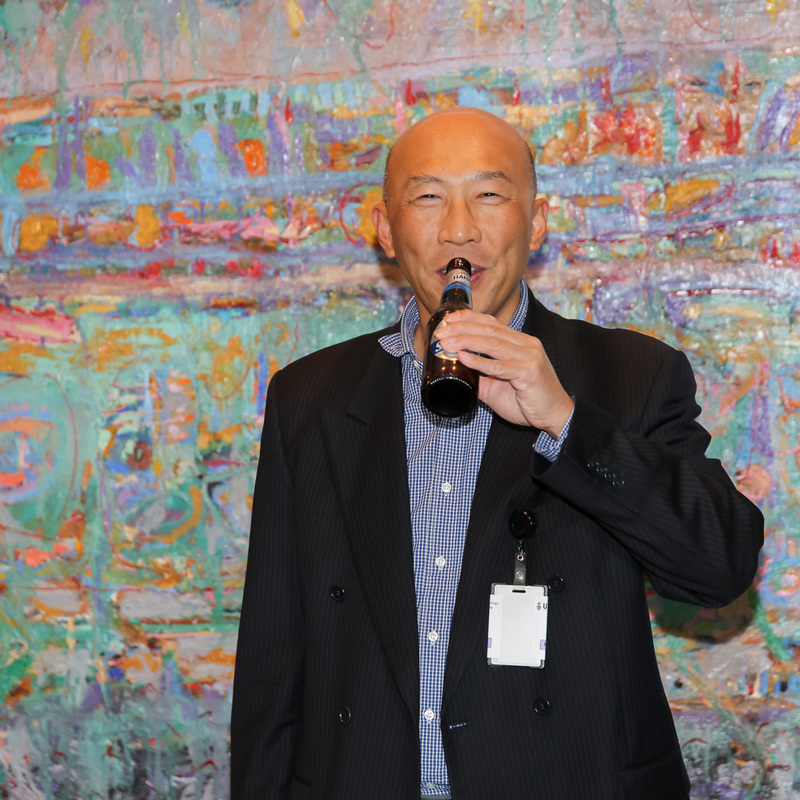 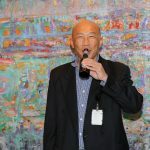 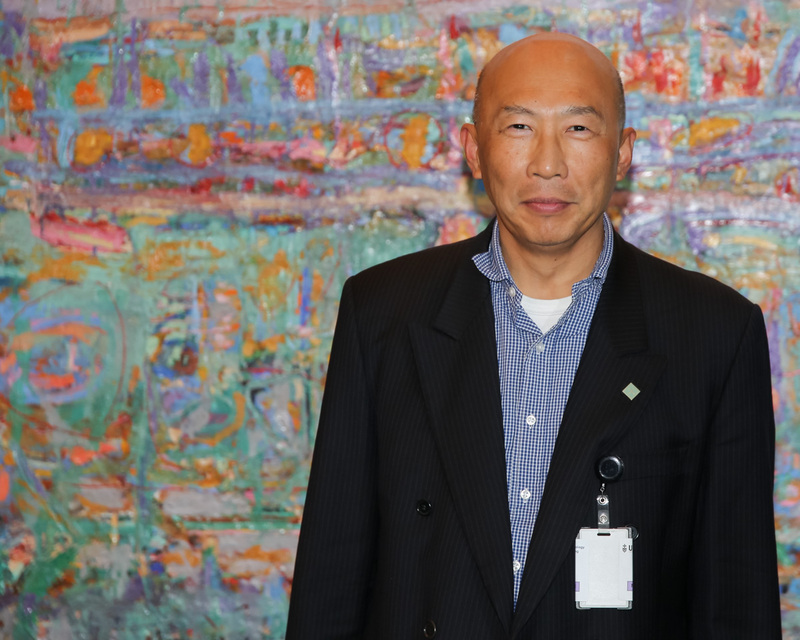 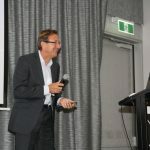 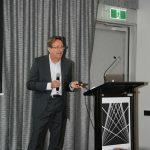 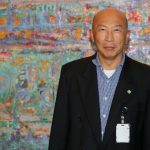 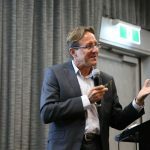 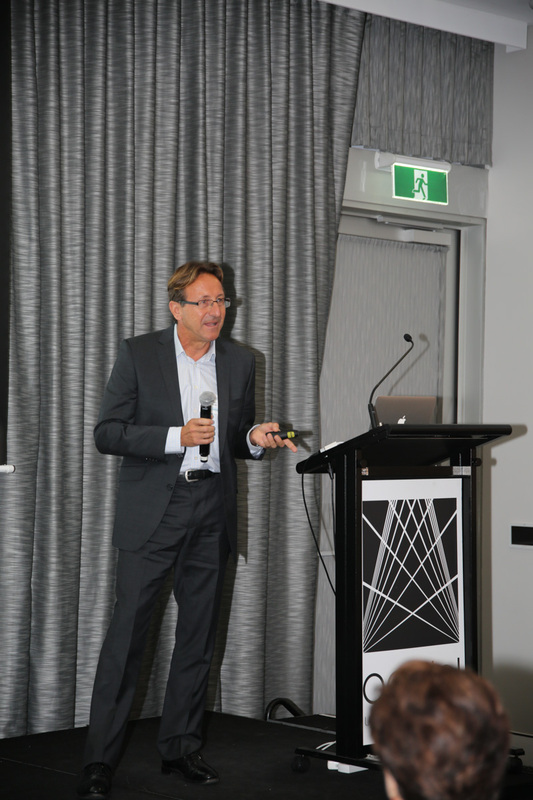 Harry, who has extensive business experience, spoke about the leadership qualities that he, as a senior executive, looks for in prospective senior managers. 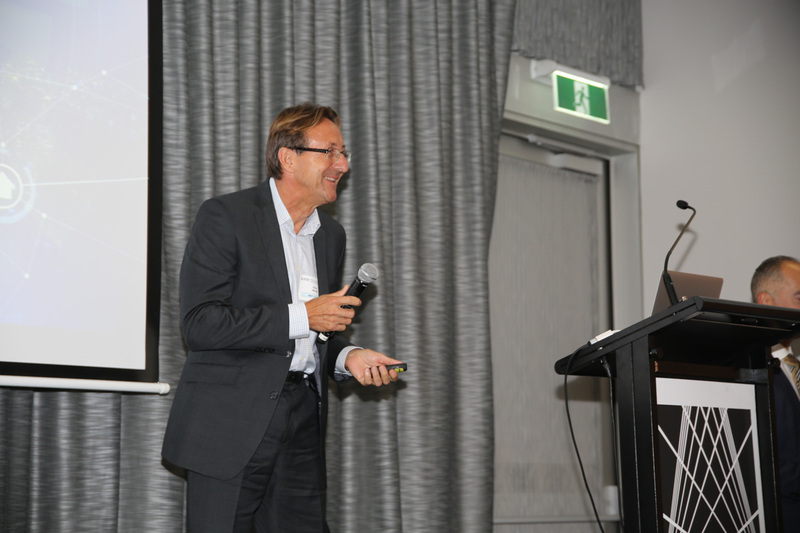 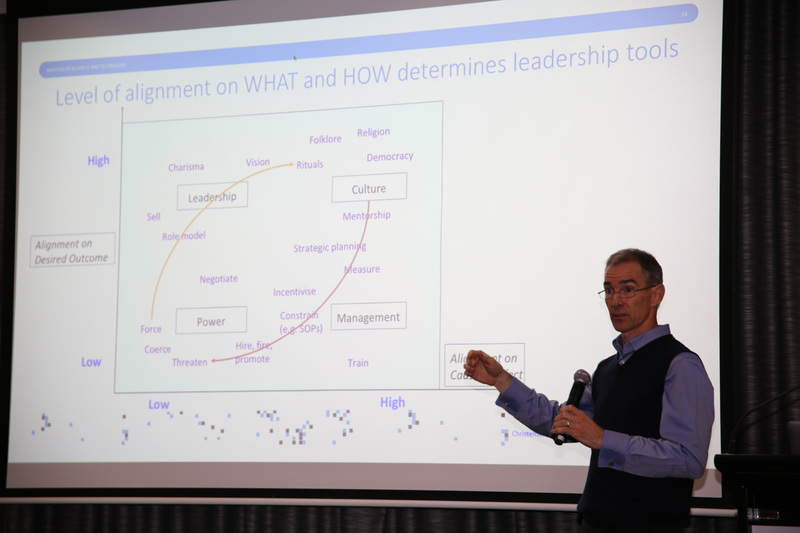 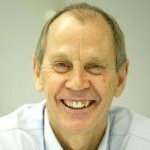 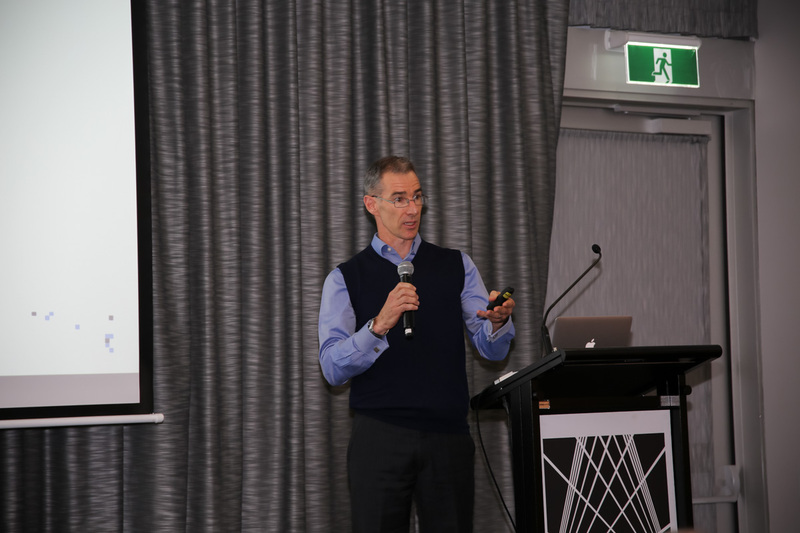 Next up was Tudor Maxwell, who lectures the MBT subject entitled Leading Organisational Change. 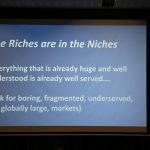 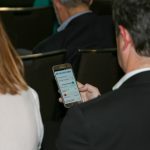 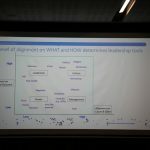 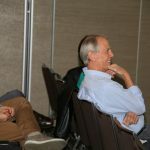 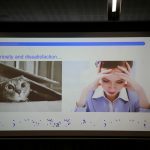 Through a brief and highly interactive presentation, Tudor gave the audience insight into just one of the issues addressed in this excellent subject. 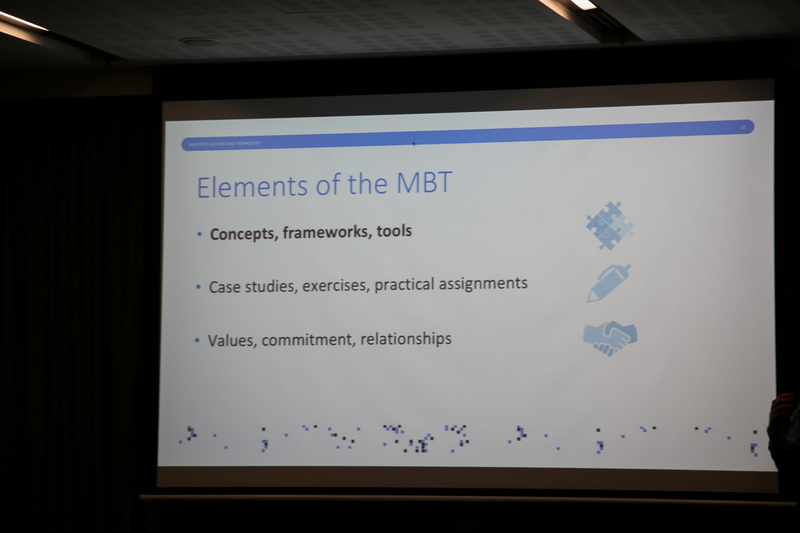 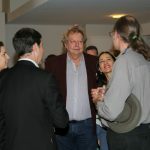 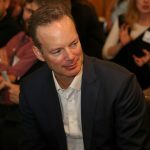 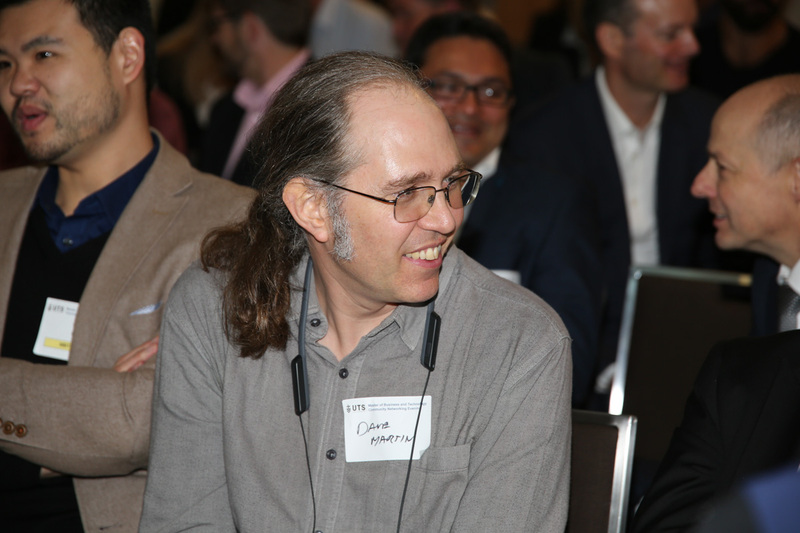 A natural educator, Tudor’s confident, relaxed style and deep experiential knowledge of the subject enabled the audience to appreciate the high standard of education offered through the MBT program. 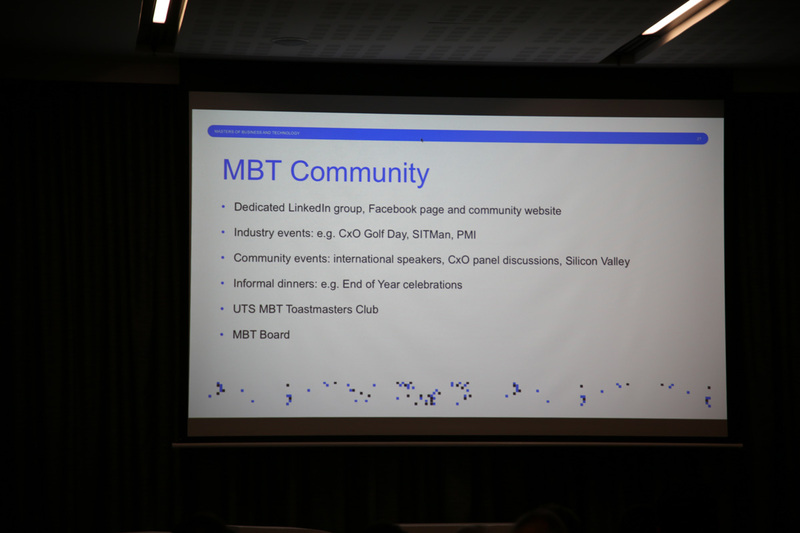 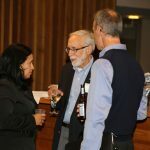 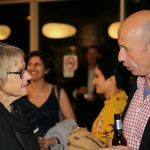 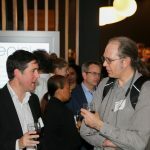 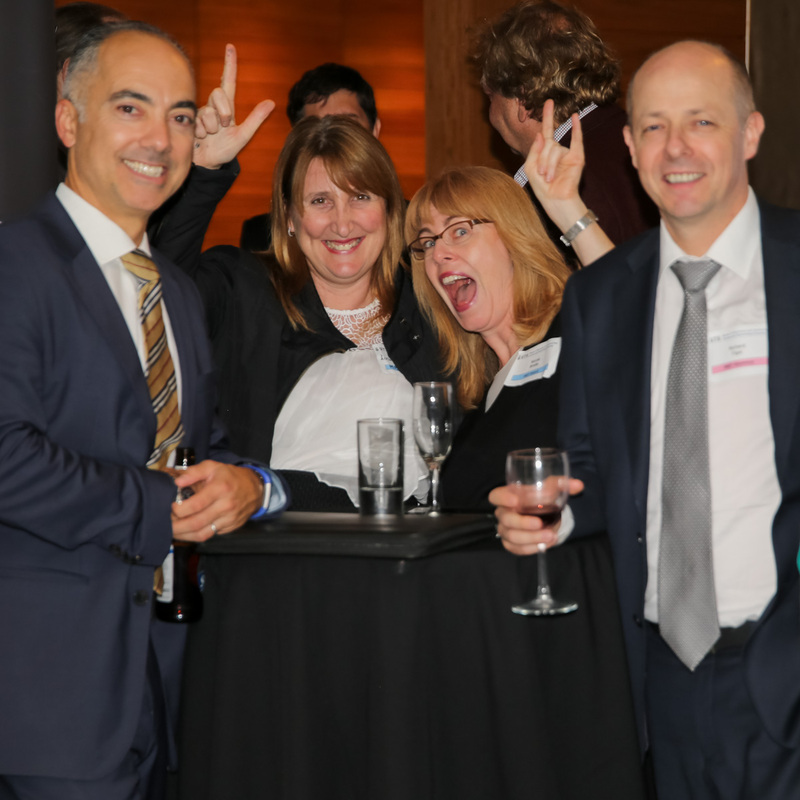 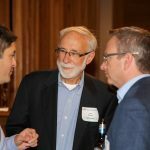 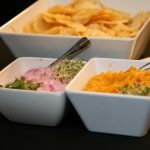 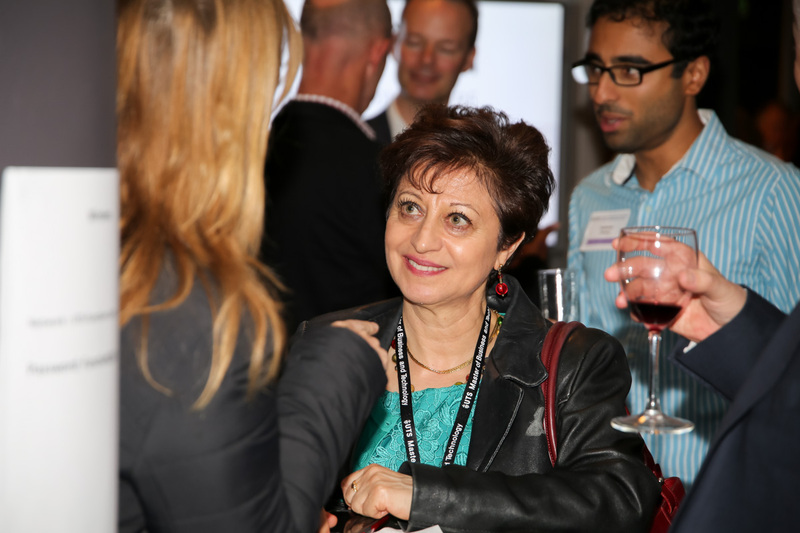 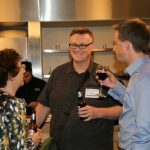 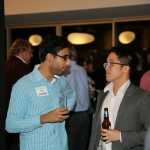 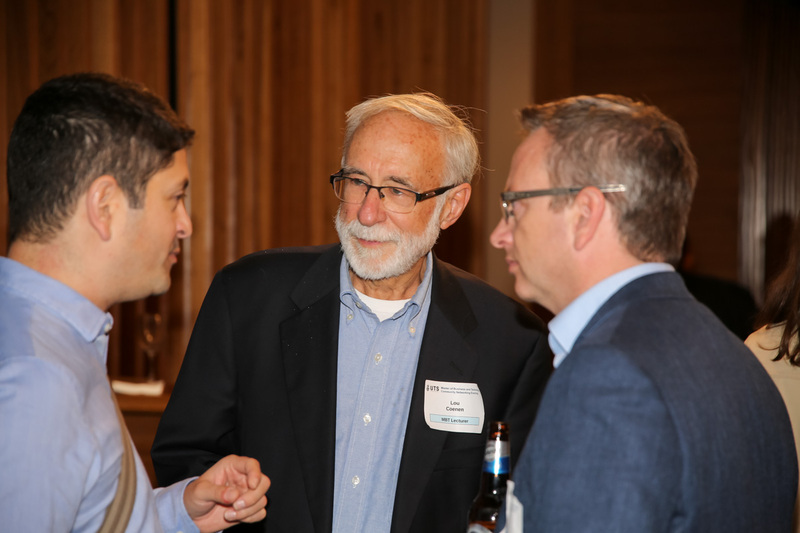 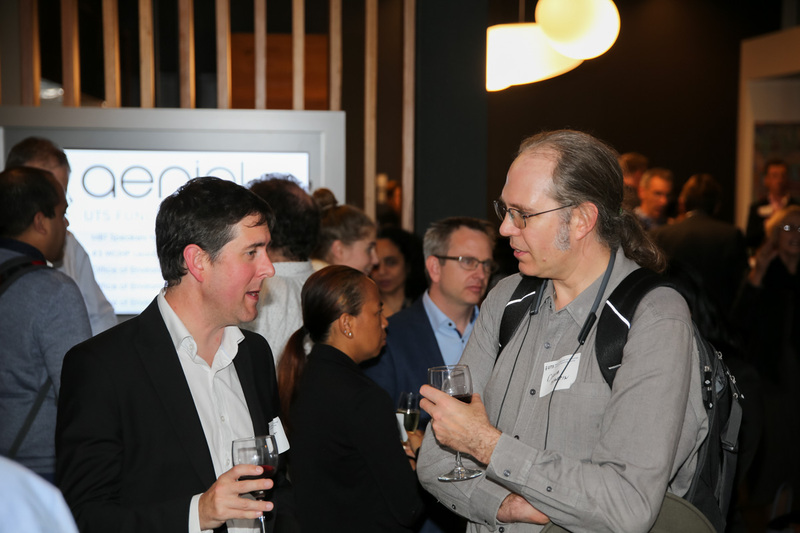 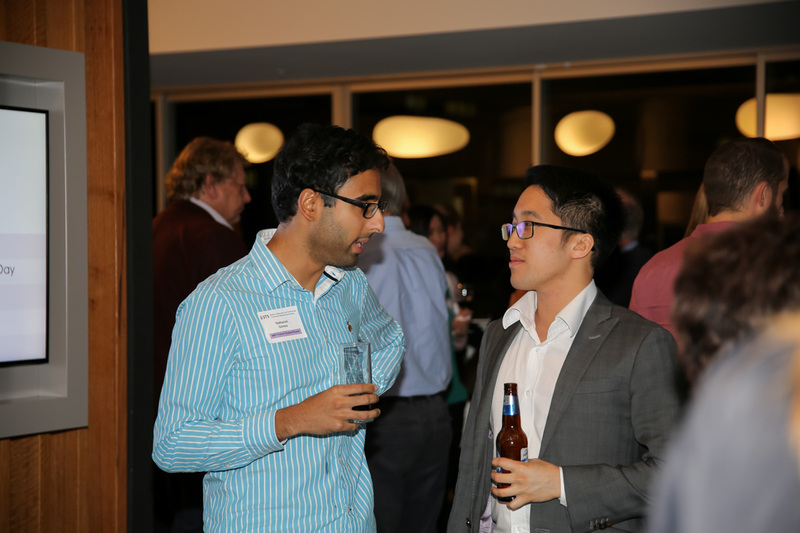 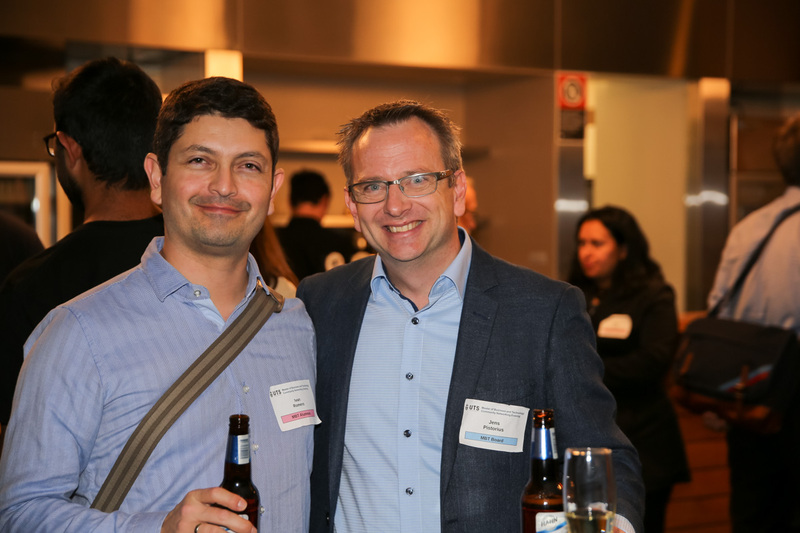 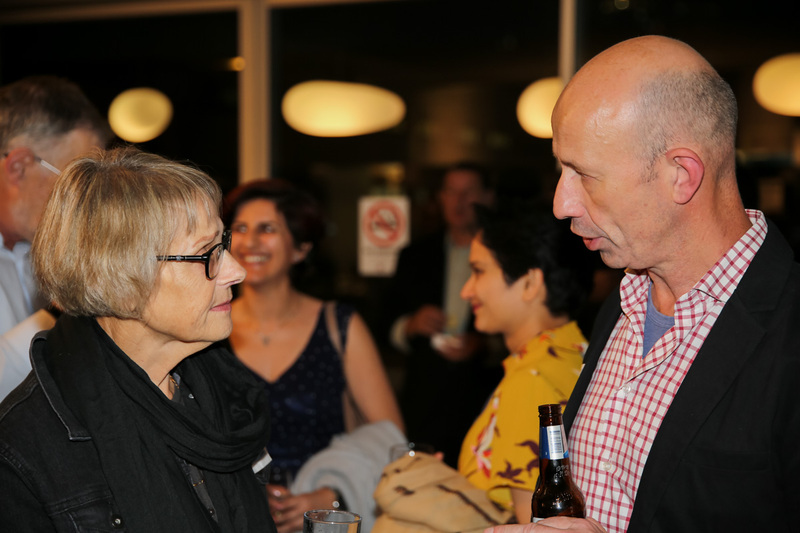 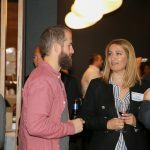 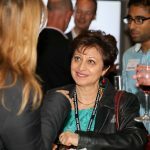 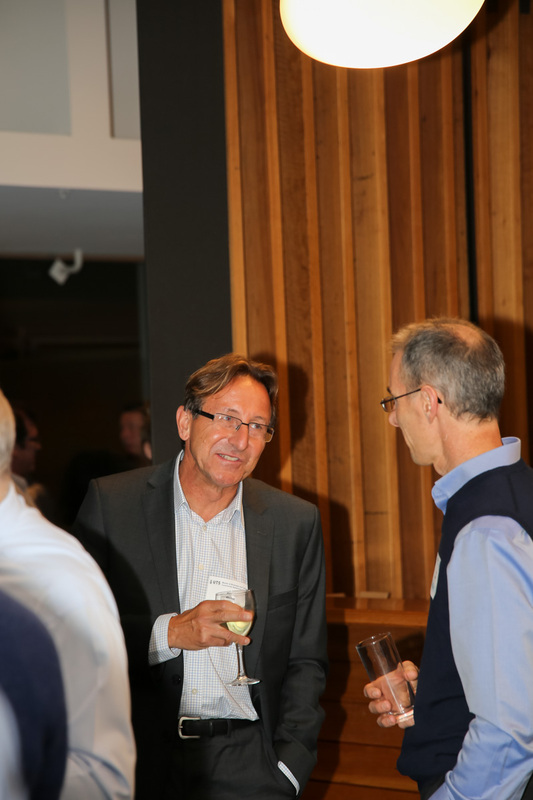 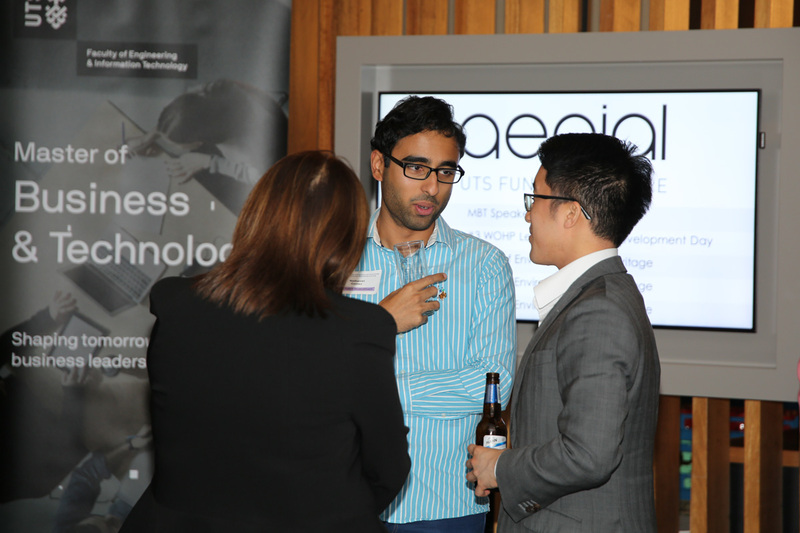 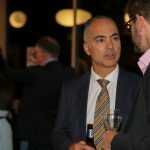 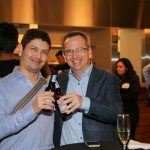 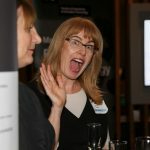 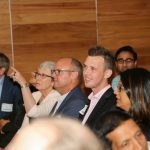 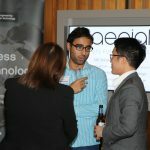 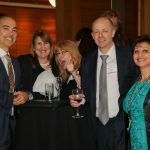 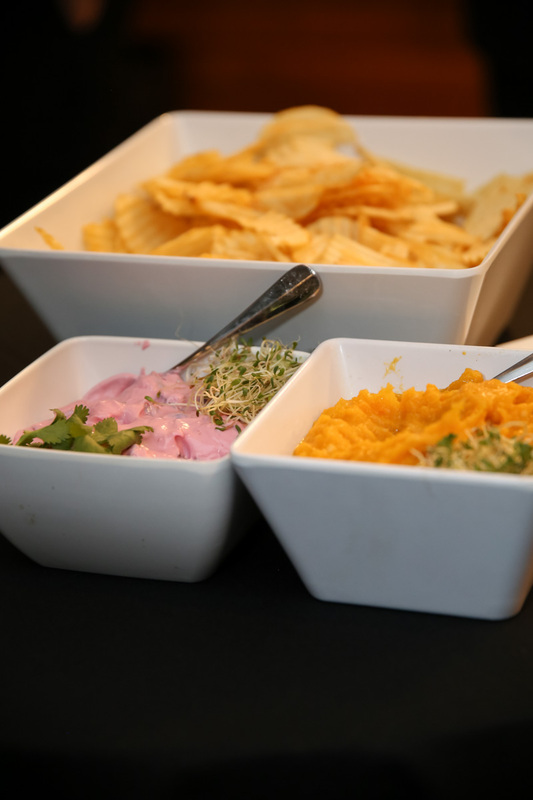 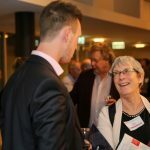 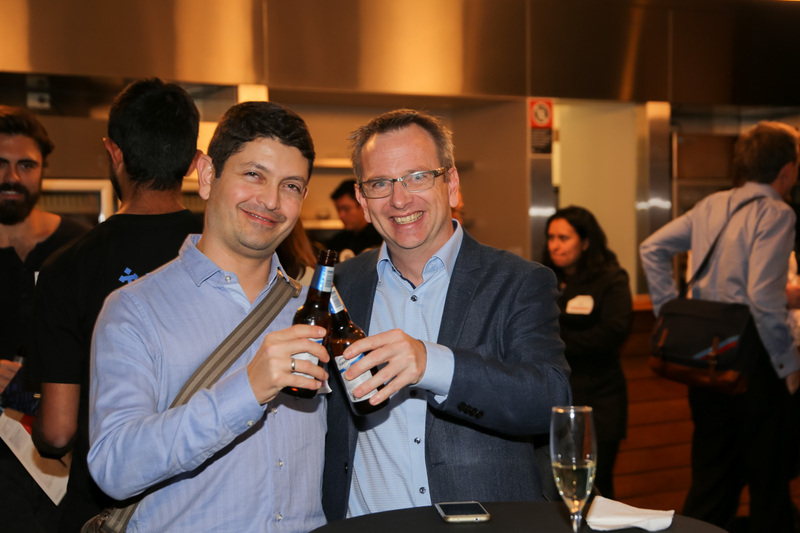 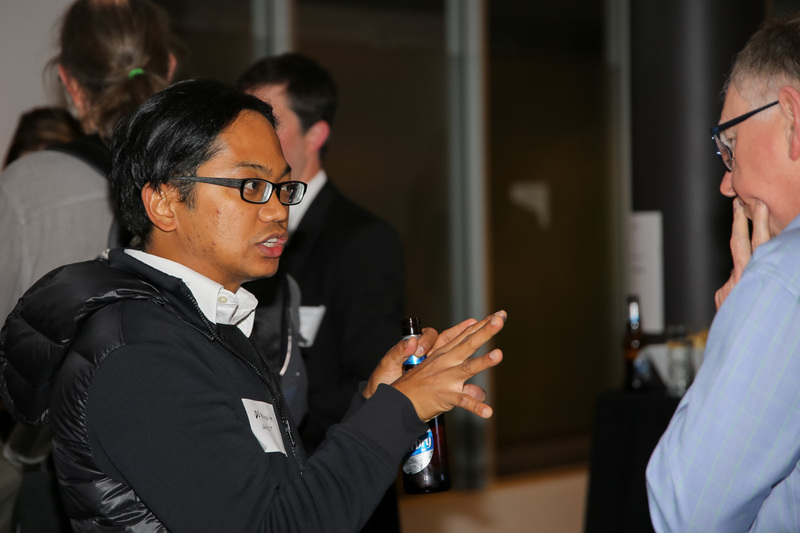 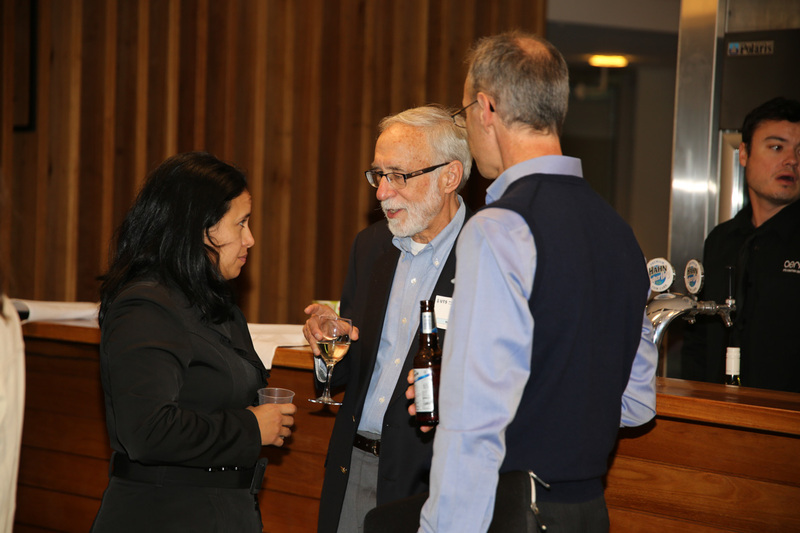 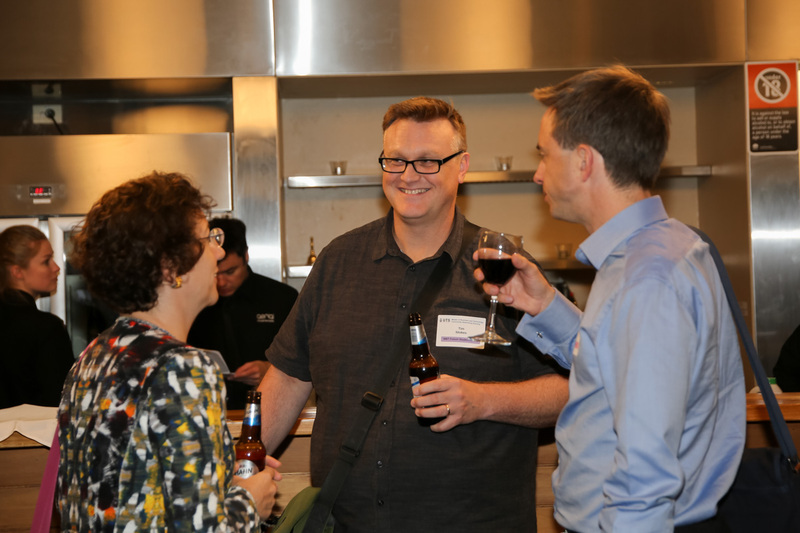 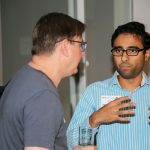 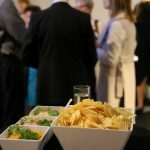 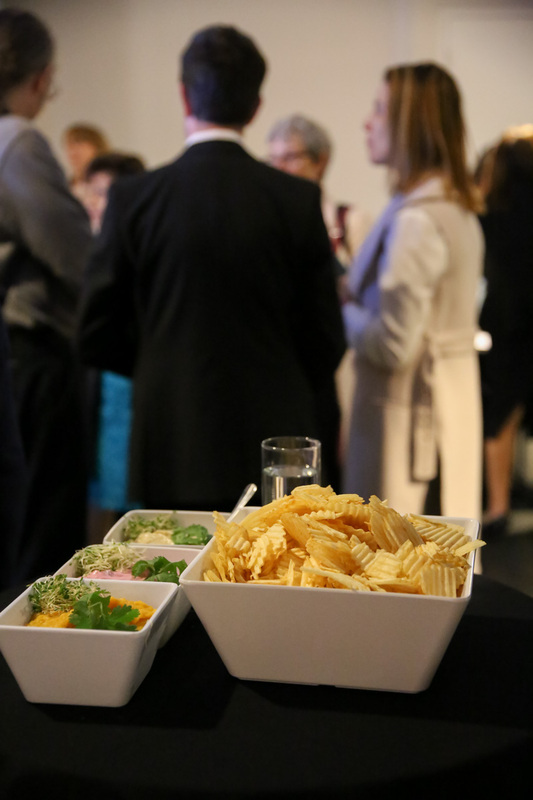 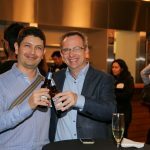 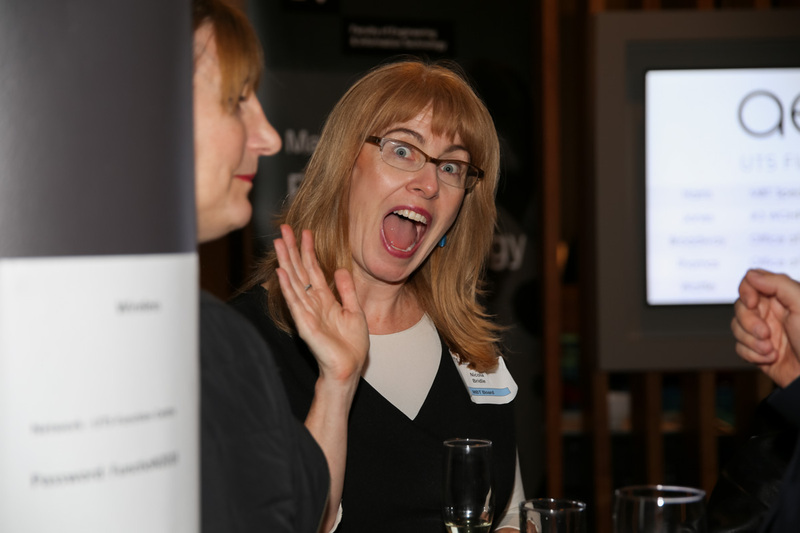 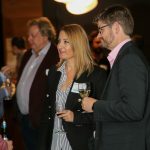 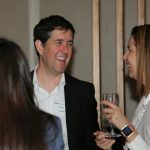 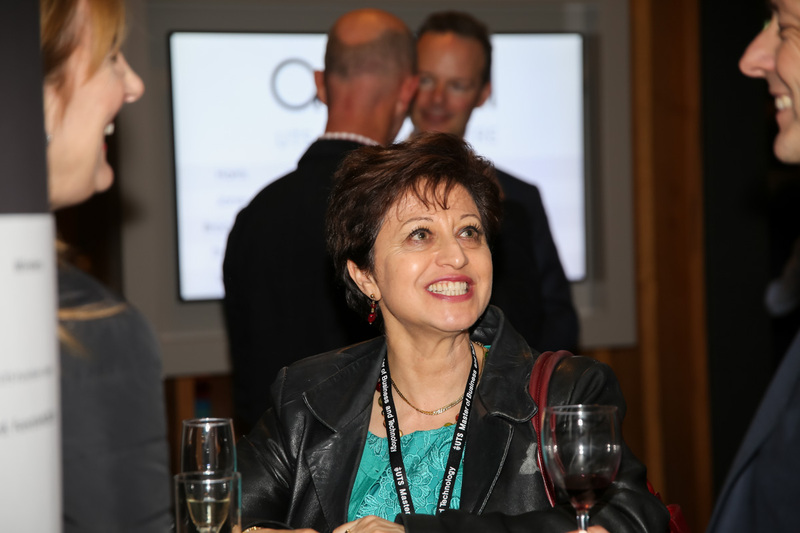 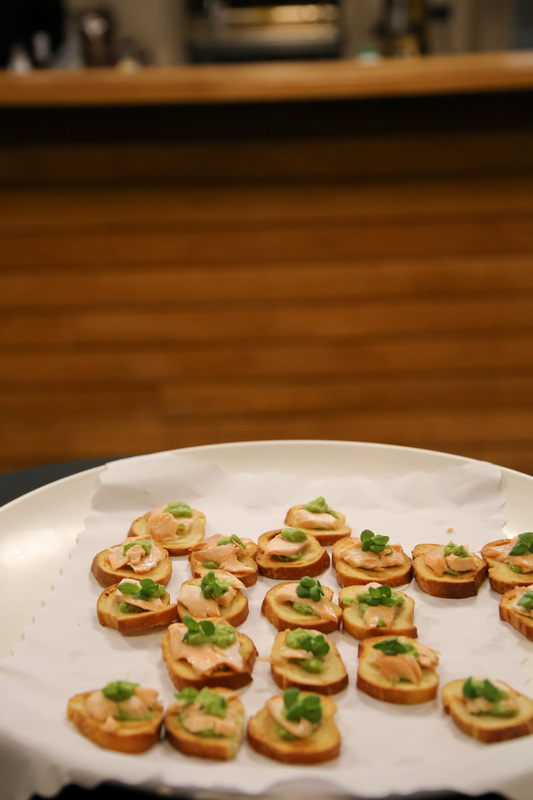 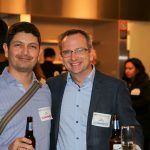 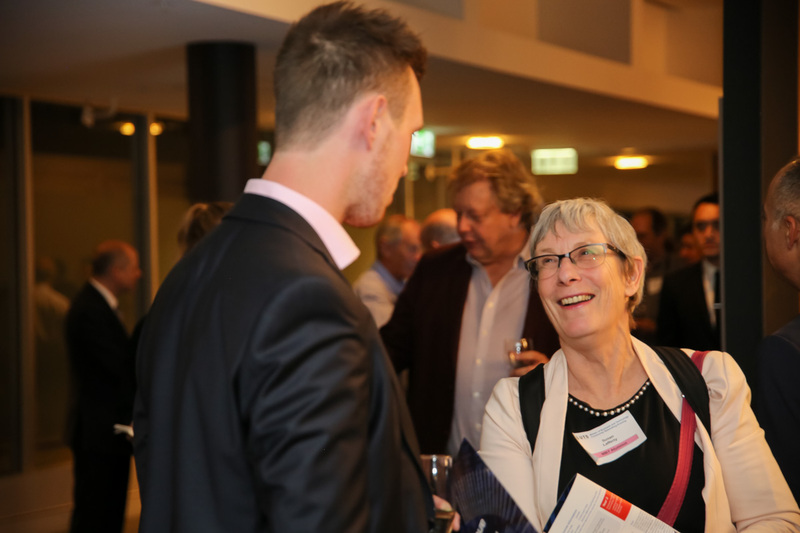 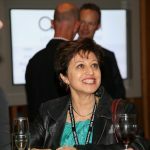 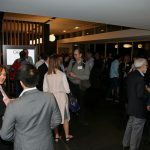 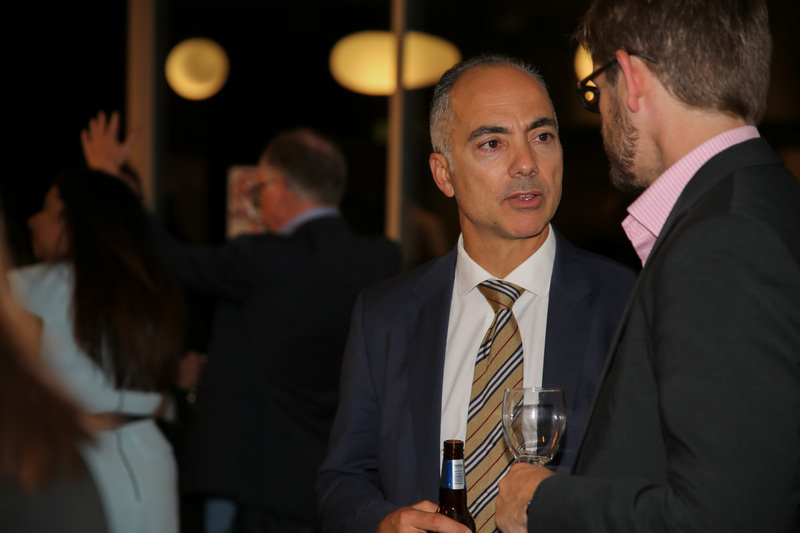 Thereafter, as is the MBT community tradition, alumni, industry partners, staff, current students and prospective students got to engage with each other over drinks and canapés, and to experience the rich social capital that is embedded in MBT community relationships. 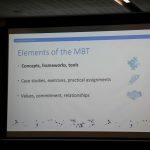 Somewhere between 1500 and 2000 strong, at regular events this community builds and renews the relationships that are at the heart of this social asset – described as ‘gold’ by many observers – that the MBT Board has created over the past 15 years. 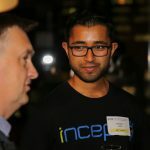 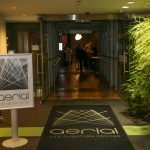 How well did the event work as a recruitment strategy? 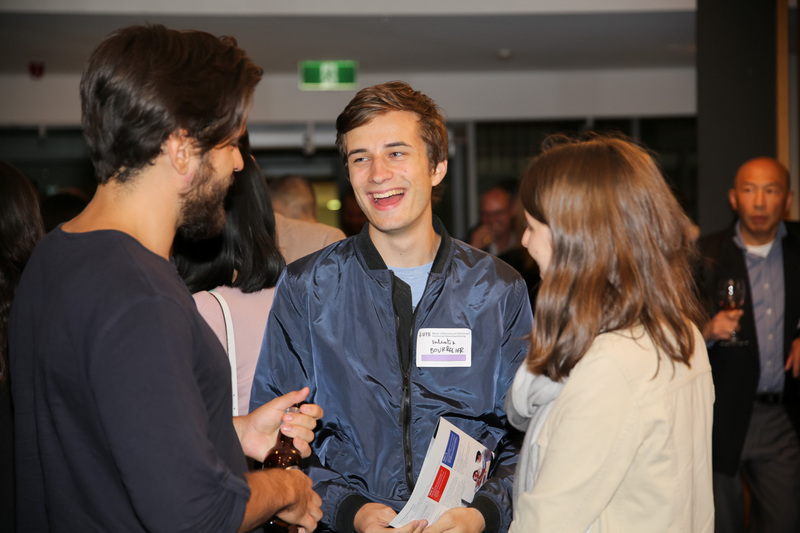 Enrolments in the program next semester will tell … in the meantime, all alumni and friends of the program should identify talented individuals within their networks and introduce them to the program.